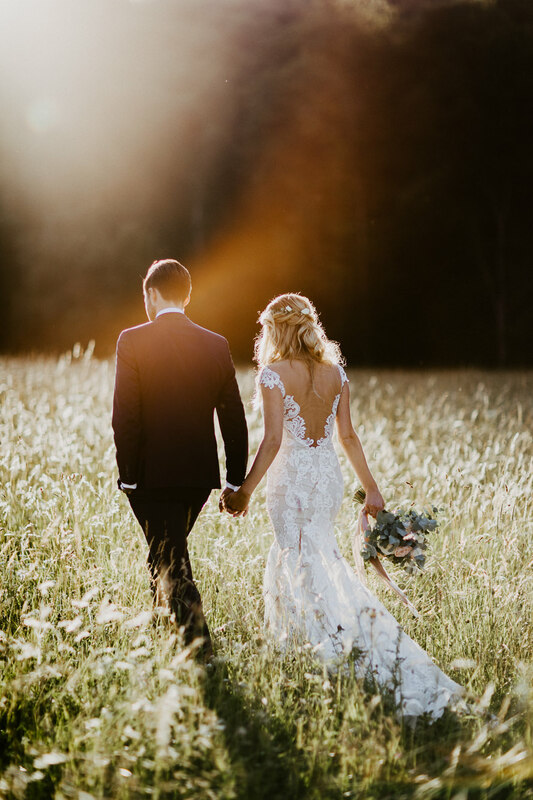 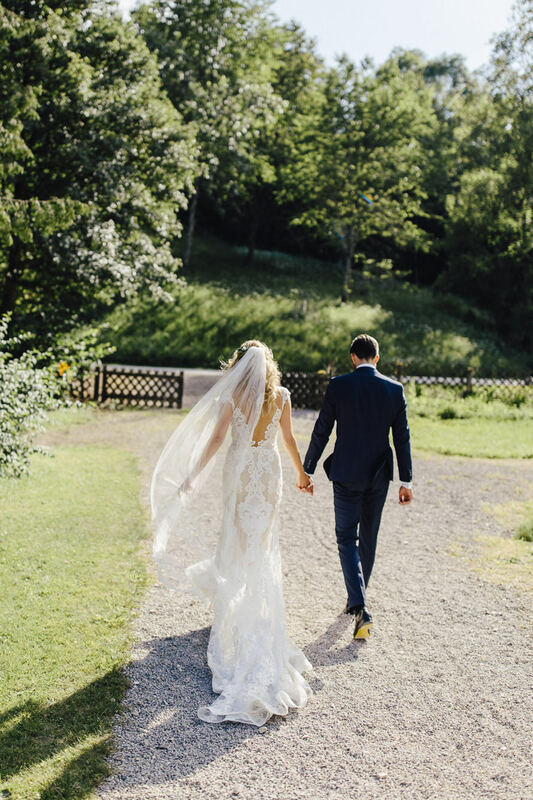 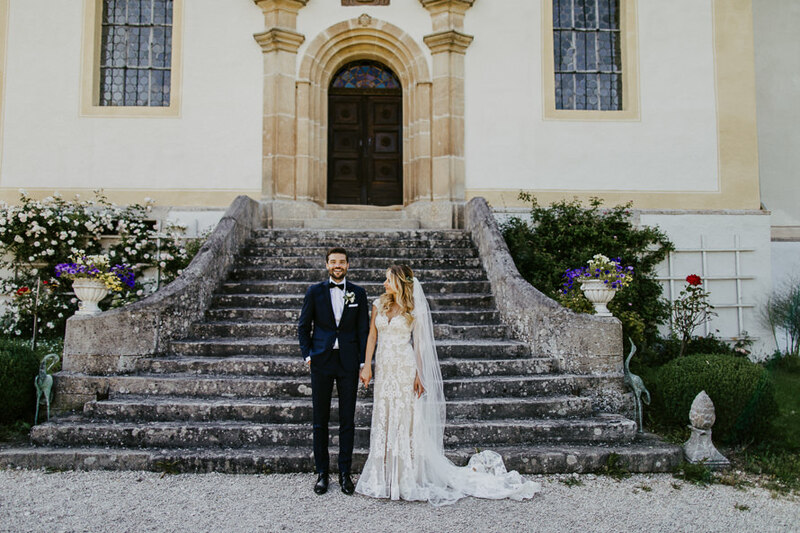 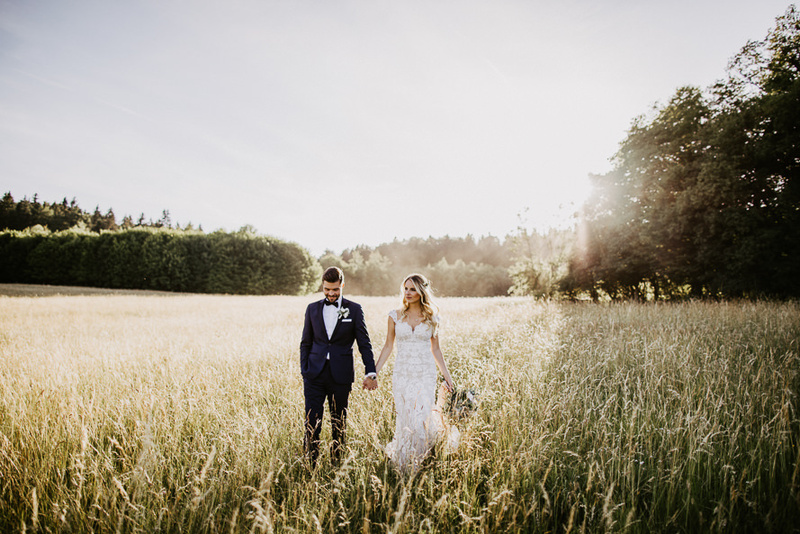 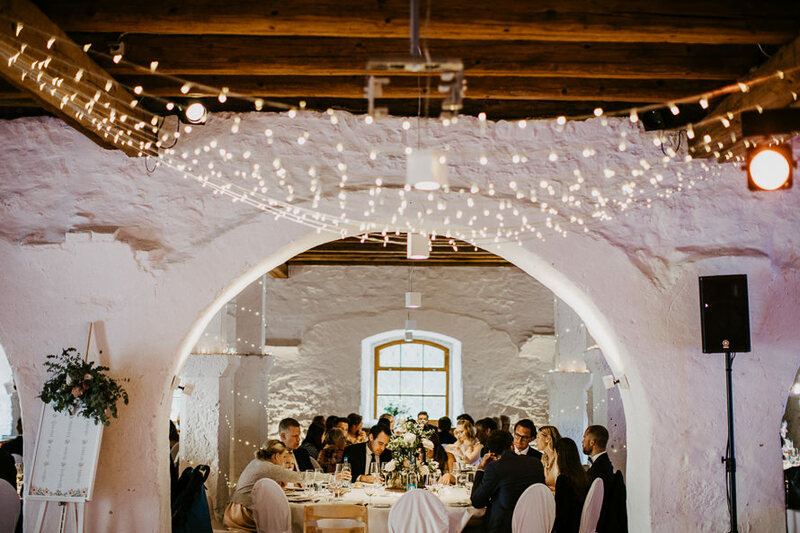 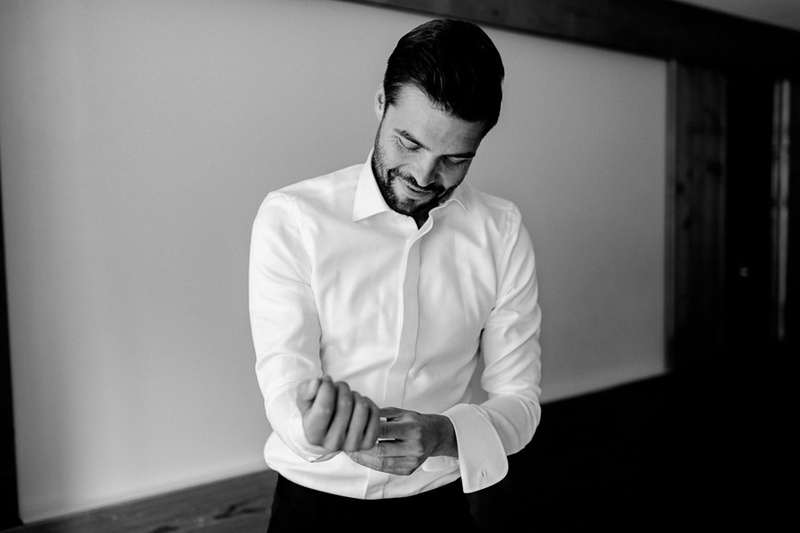 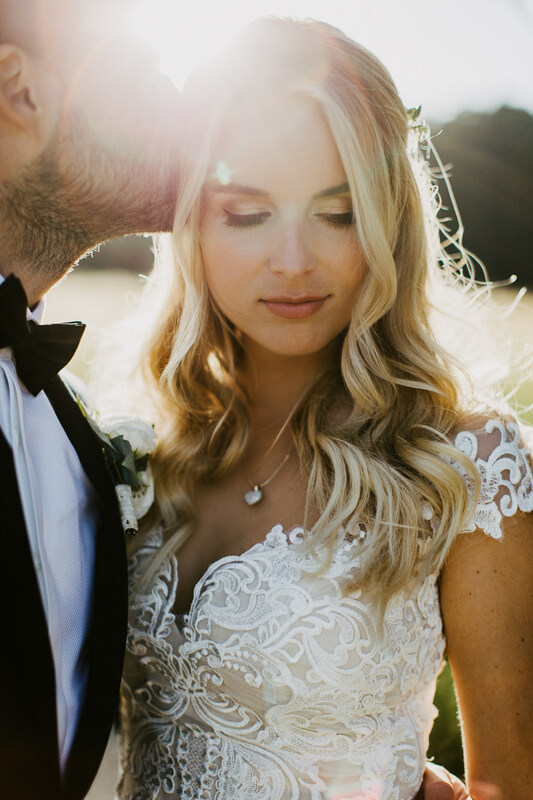 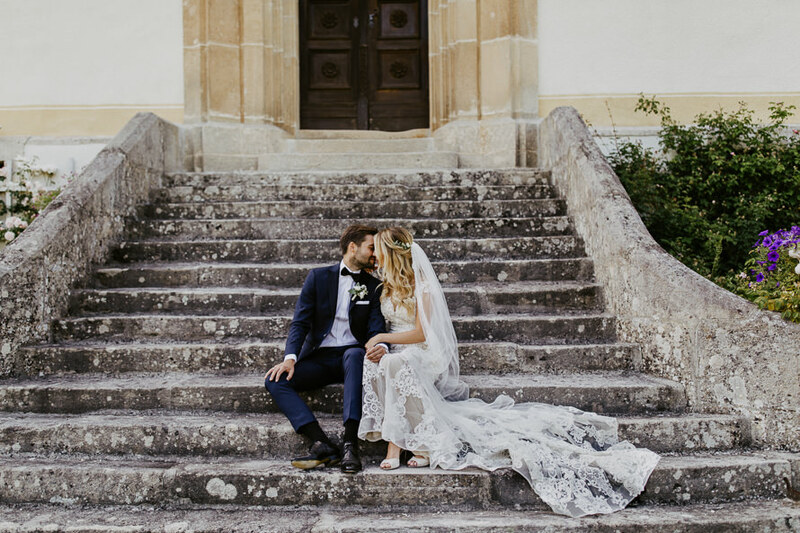 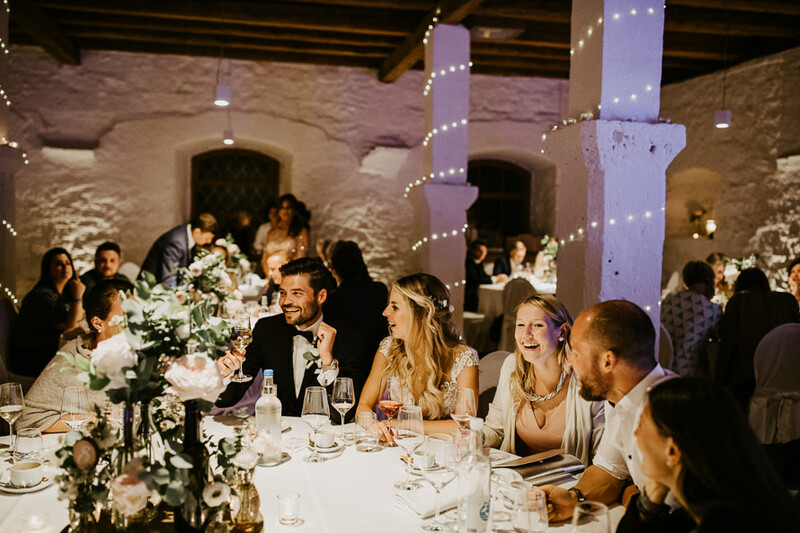 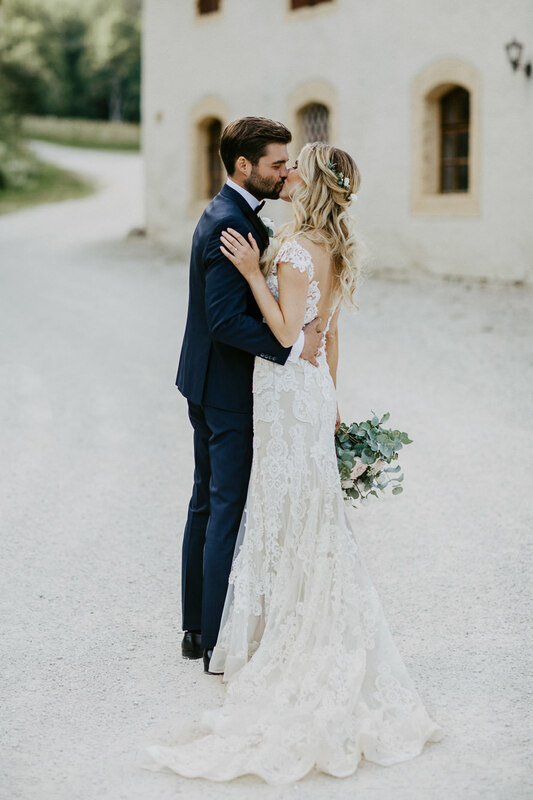 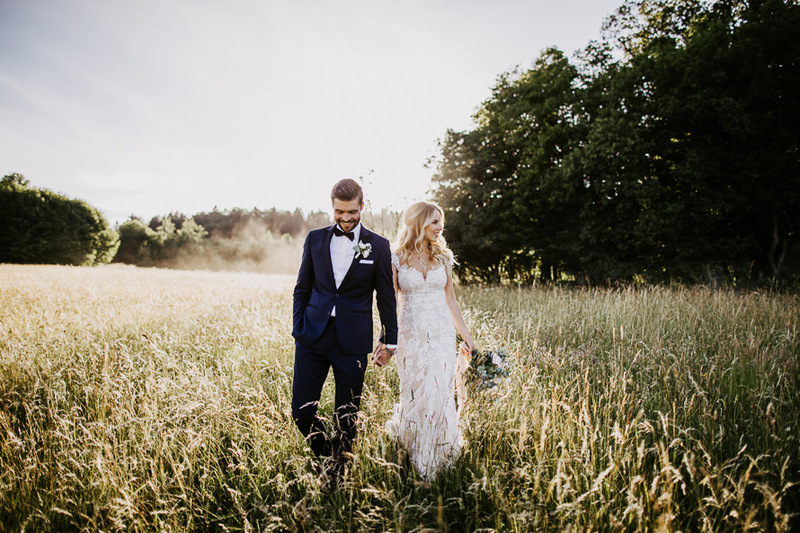 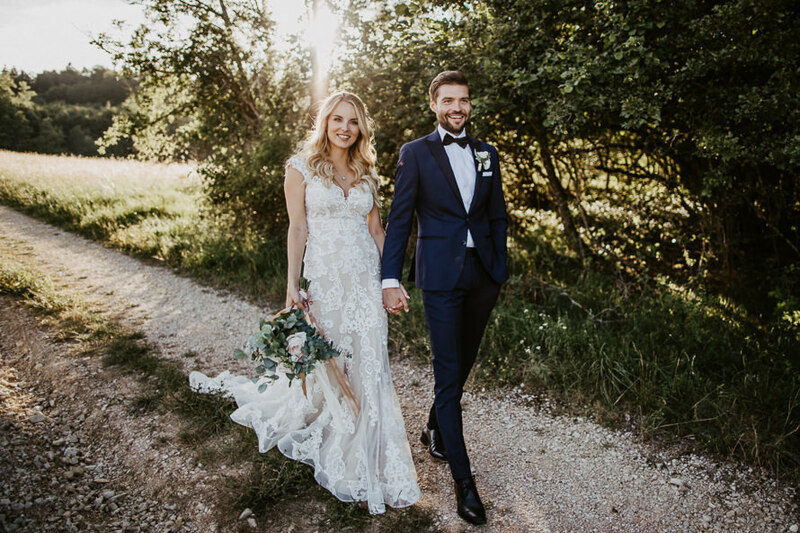 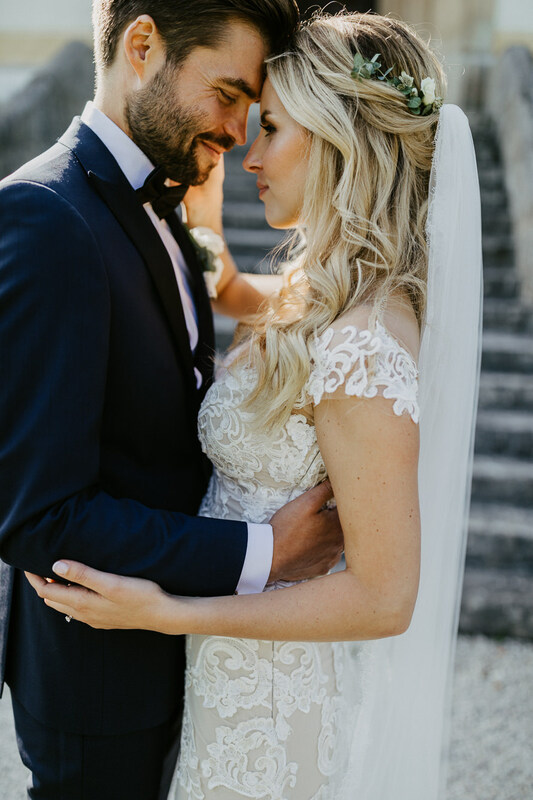 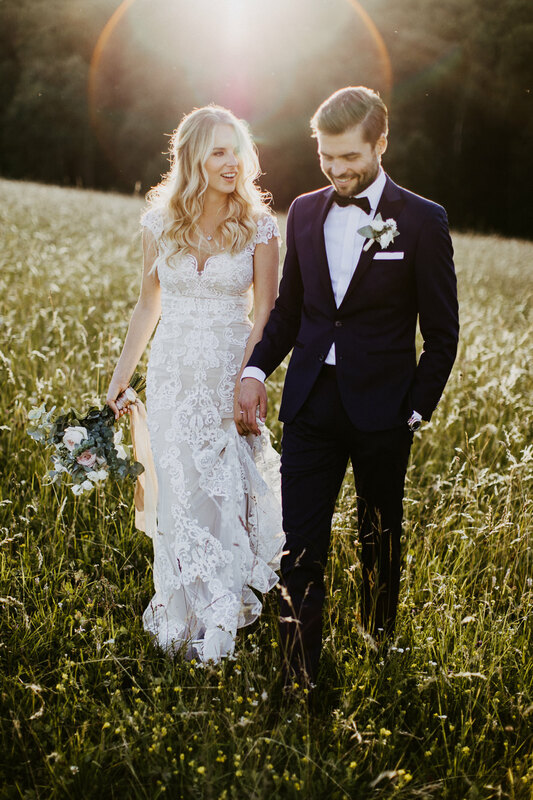 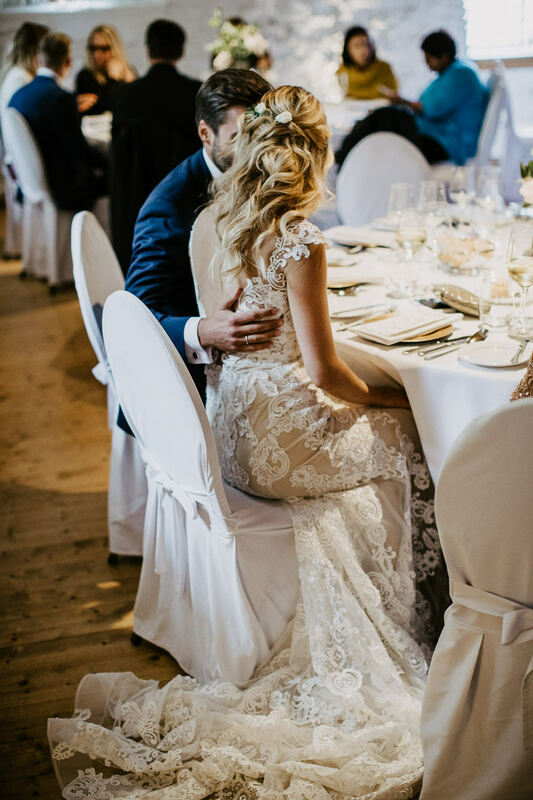 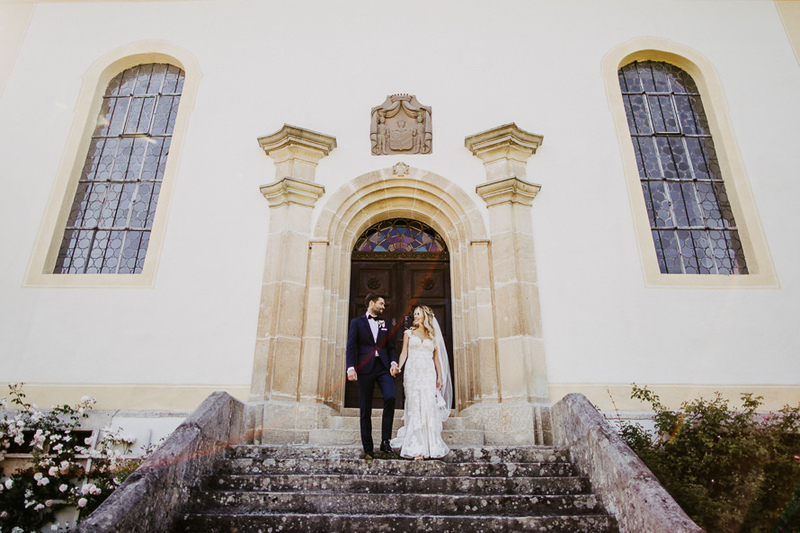 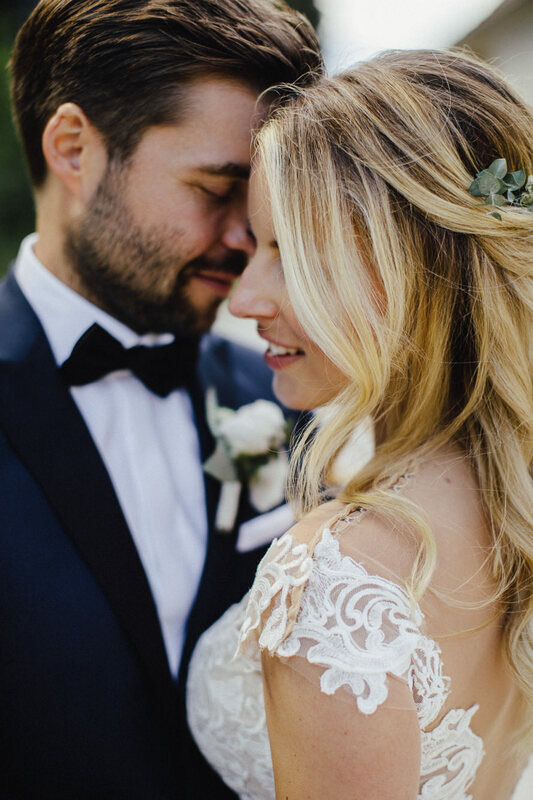 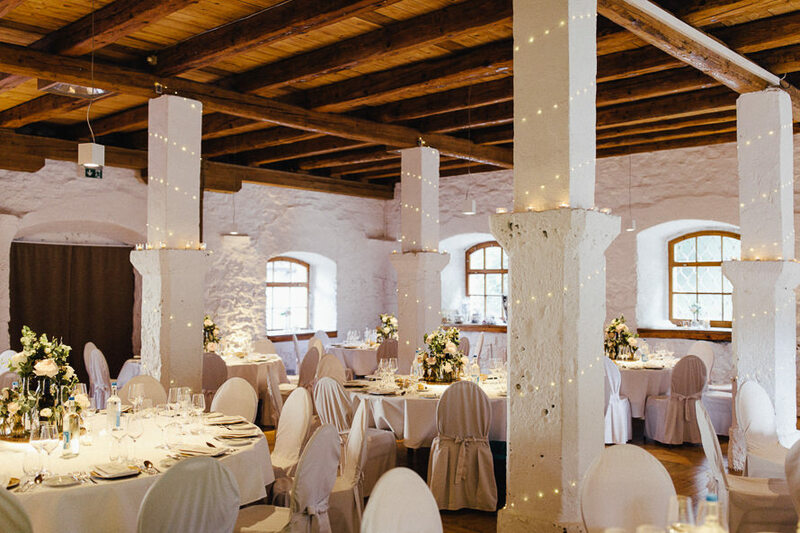 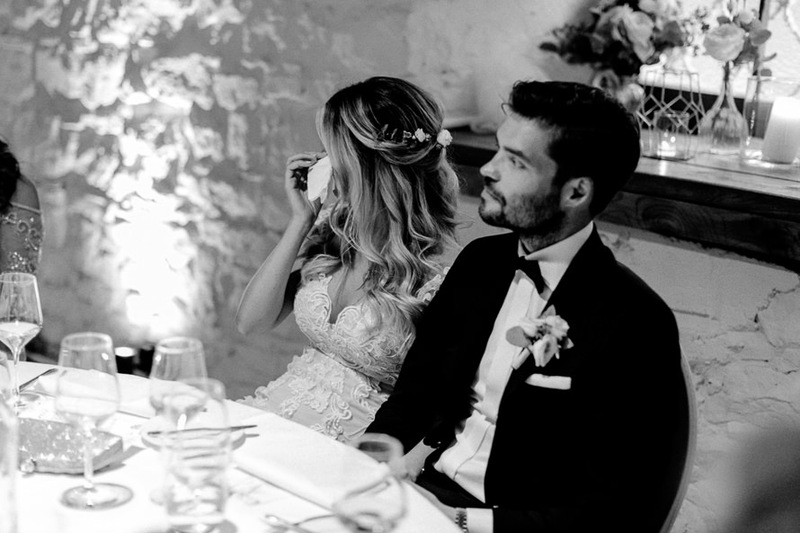 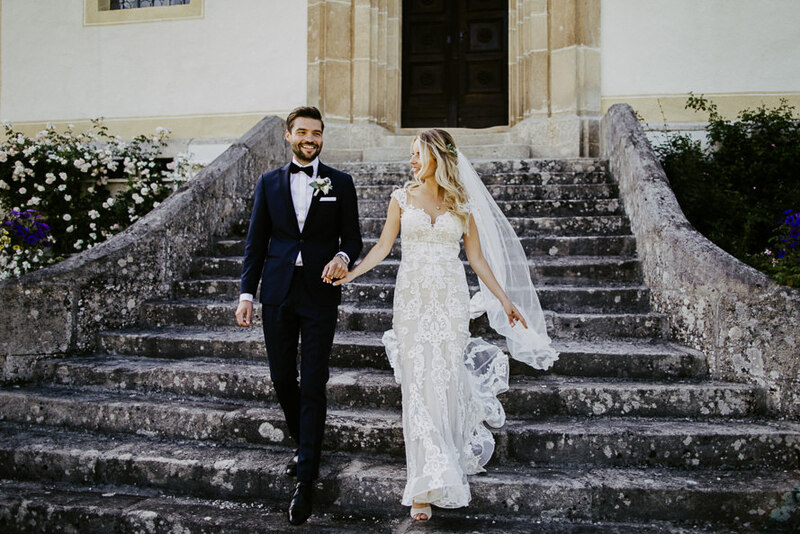 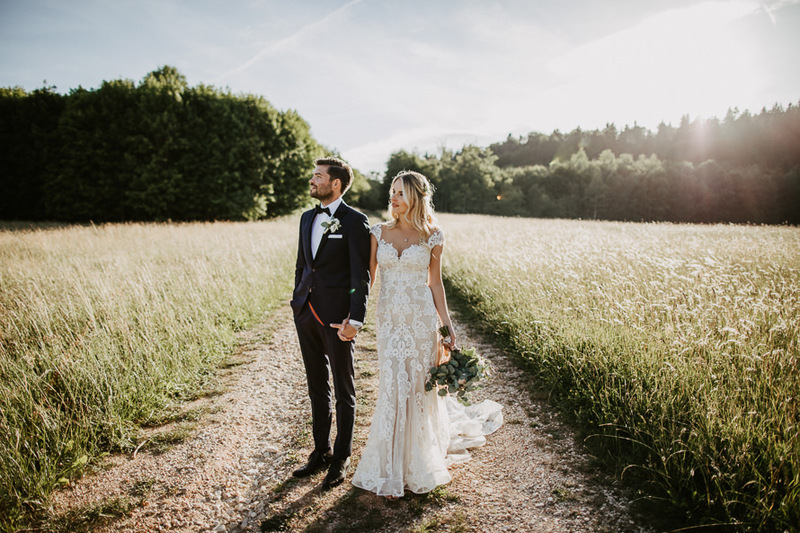 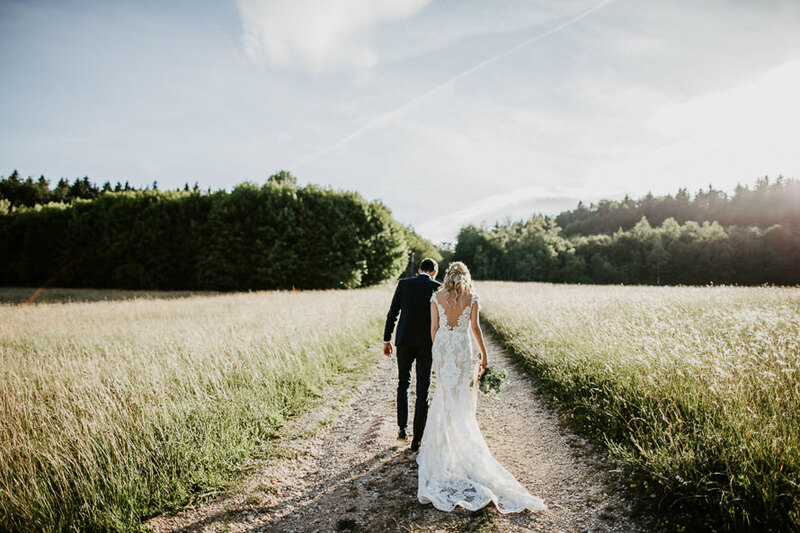 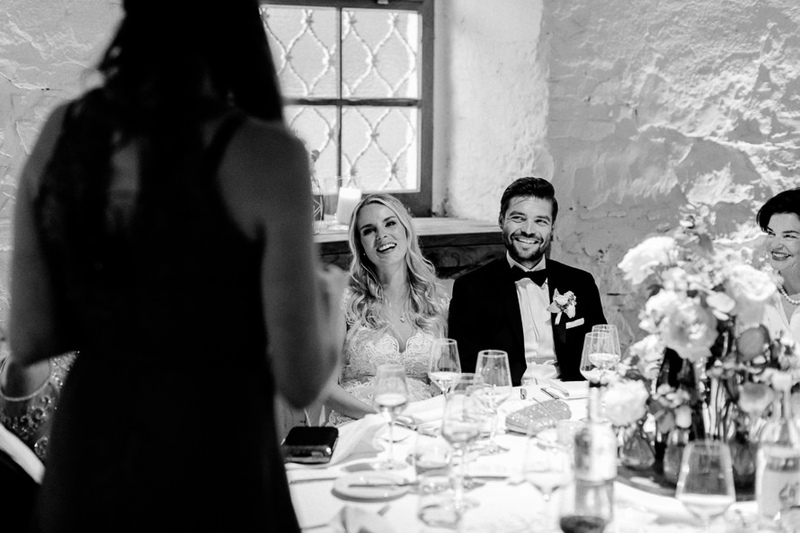 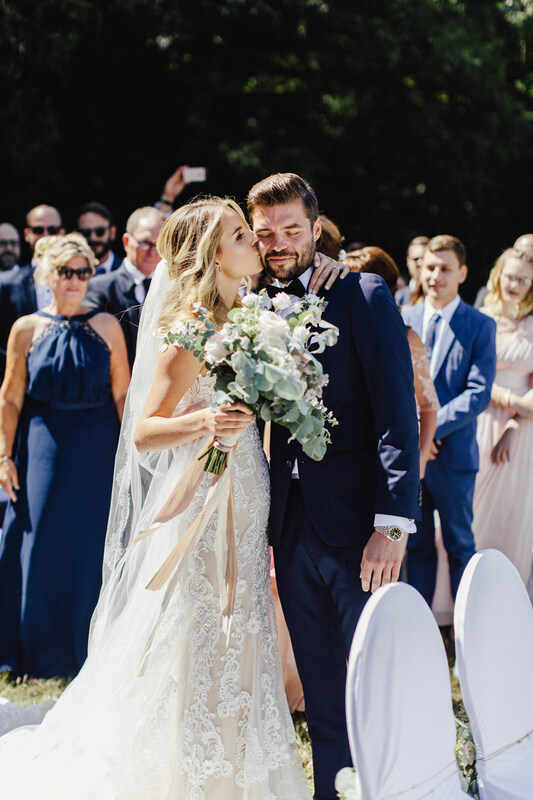 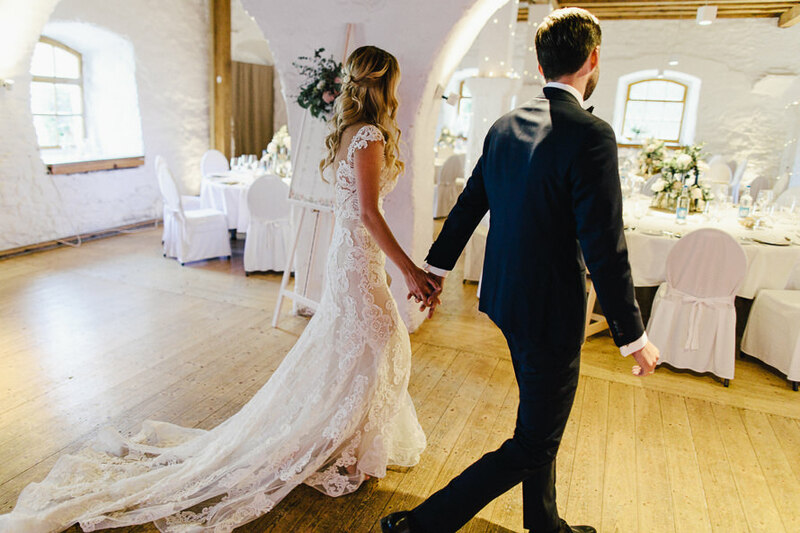 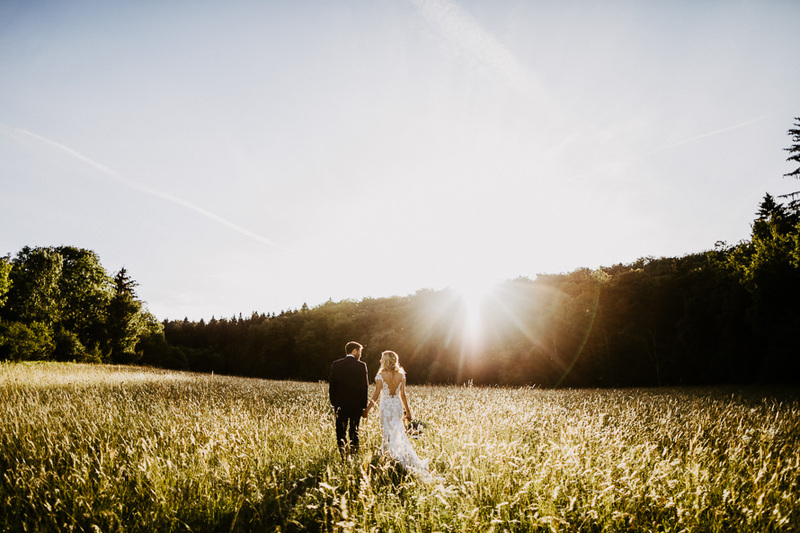 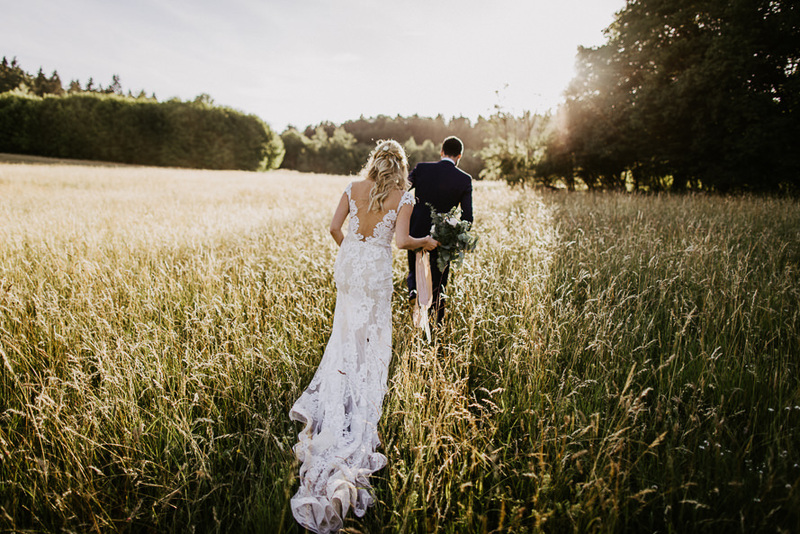 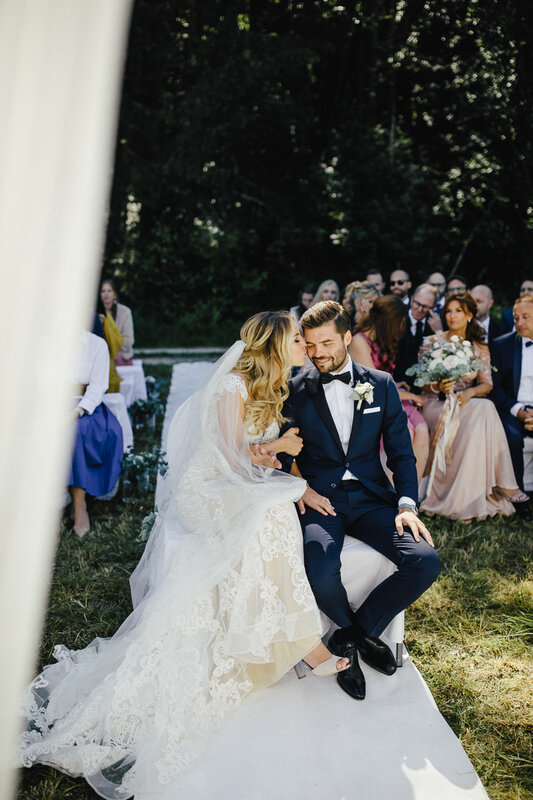 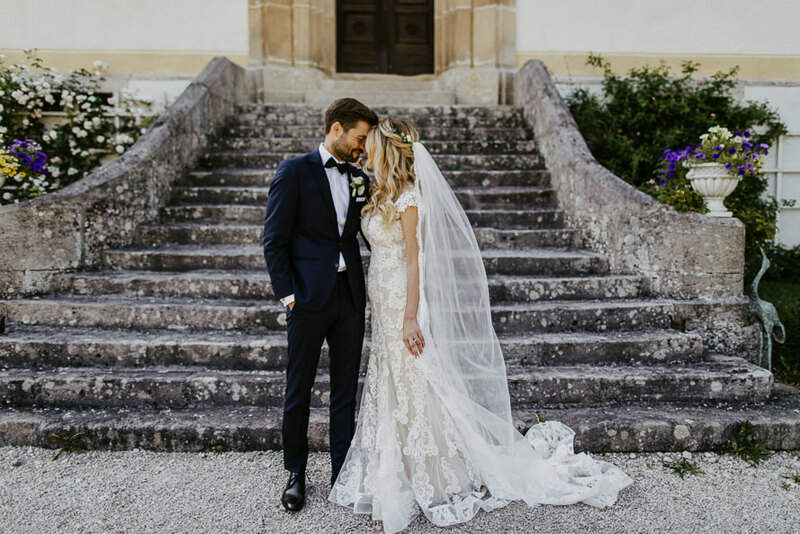 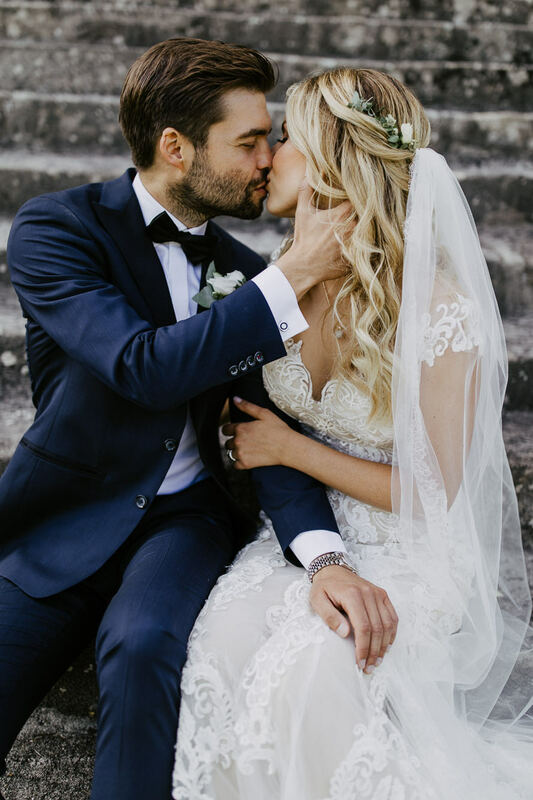 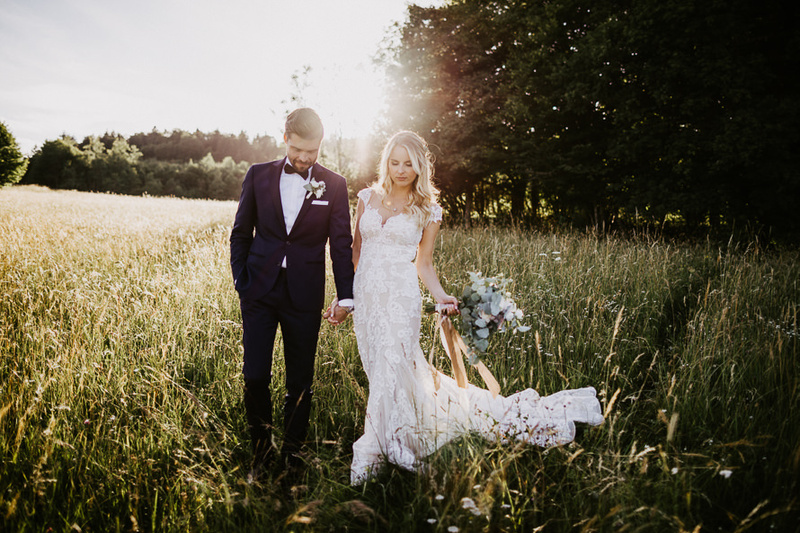 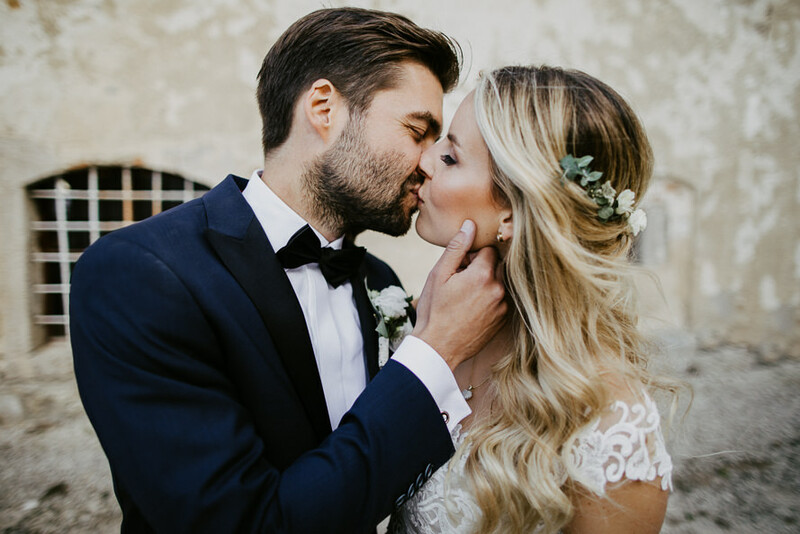 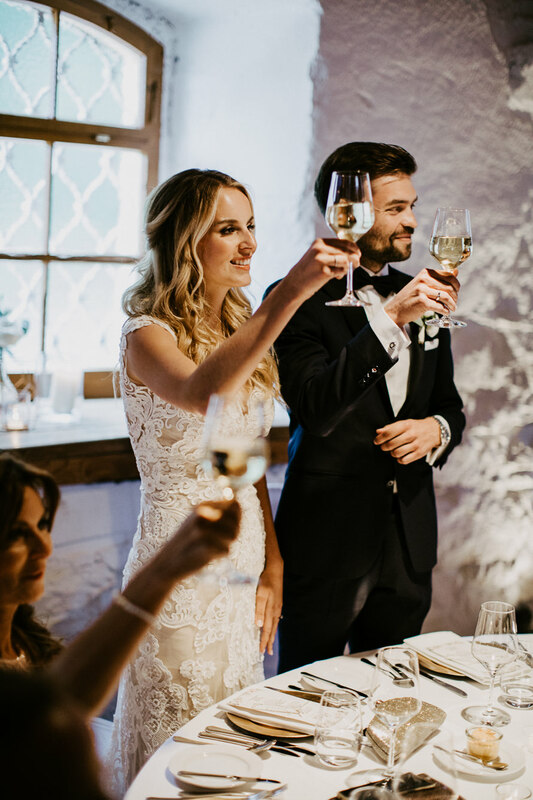 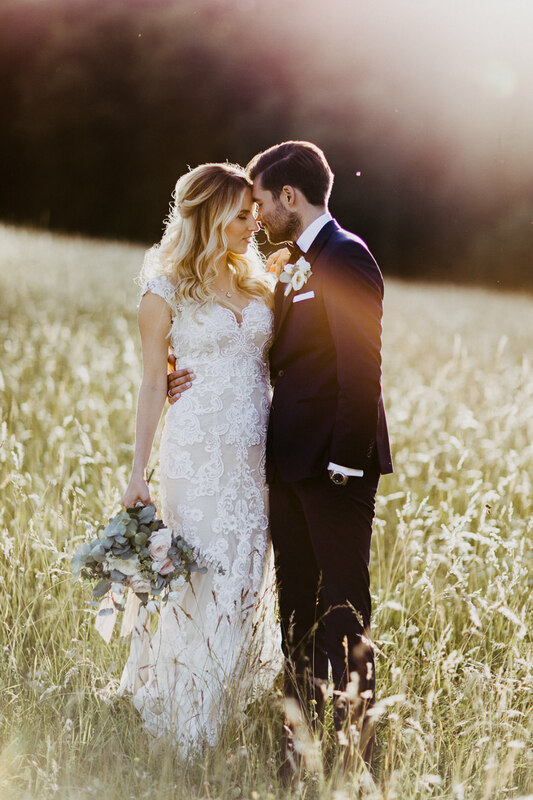 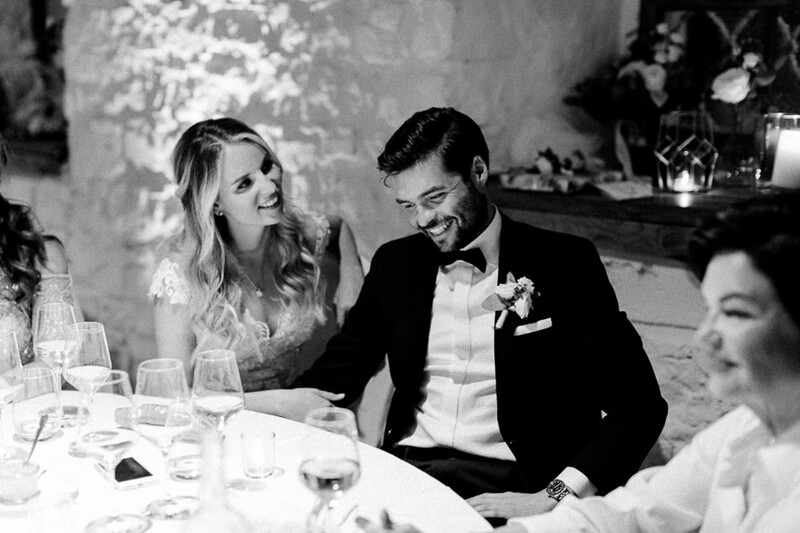 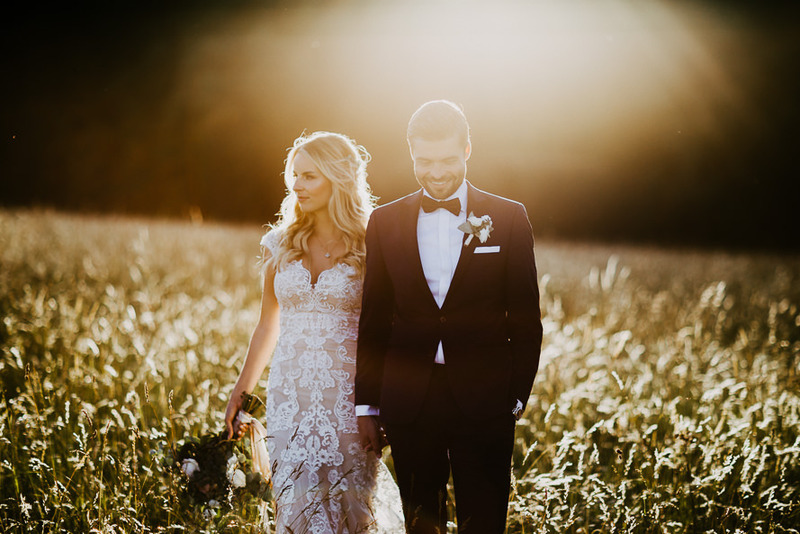 We had the pleasure to accompany Victoria and Falk at their classical – bohemian wedding at “Schwäbische Alb” – which happened to be the perfect romantic backdrop. 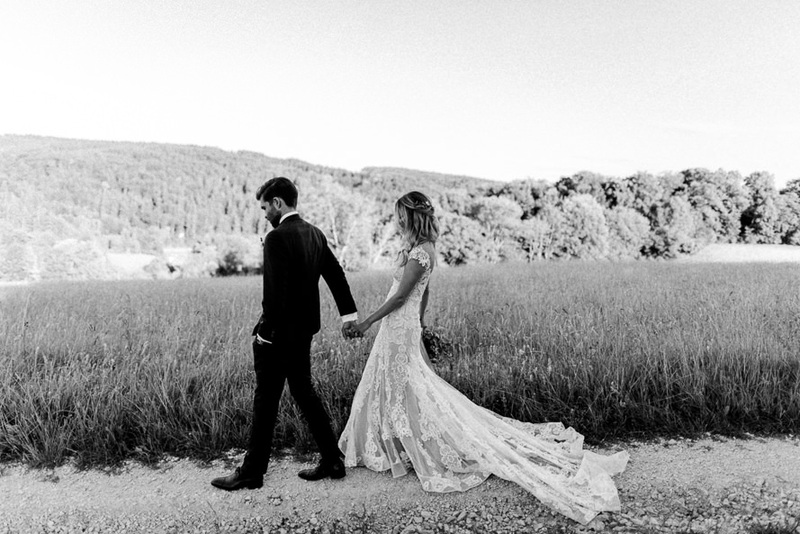 We were there to witness the two days and it was absolutely magical. 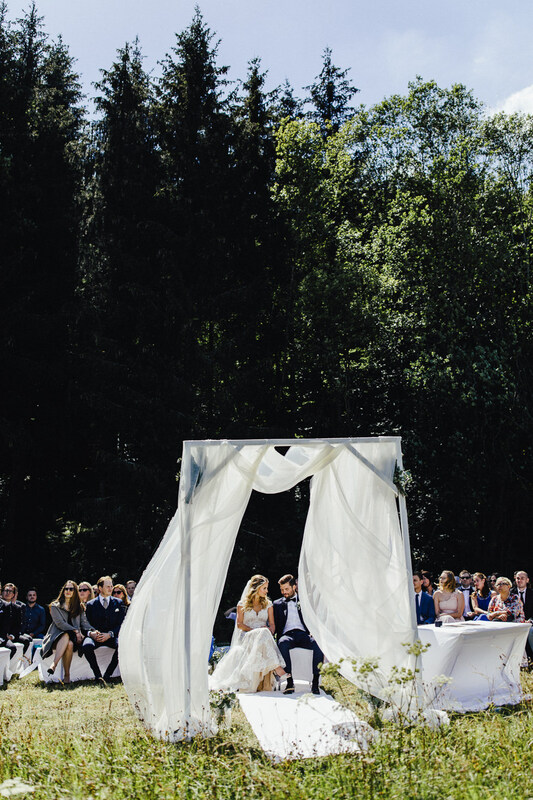 The ceremony took place outside, the weather was beautiful and there were hardly any clouds – perfect conditions for an outdoor summer wedding! 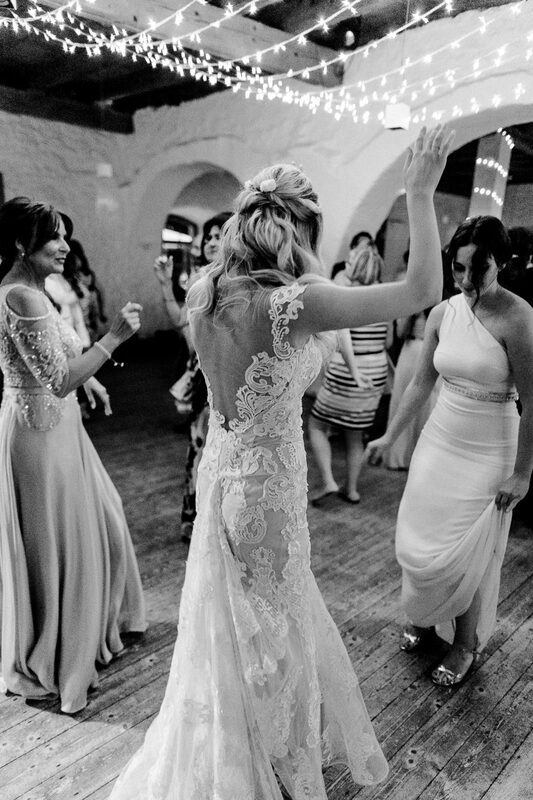 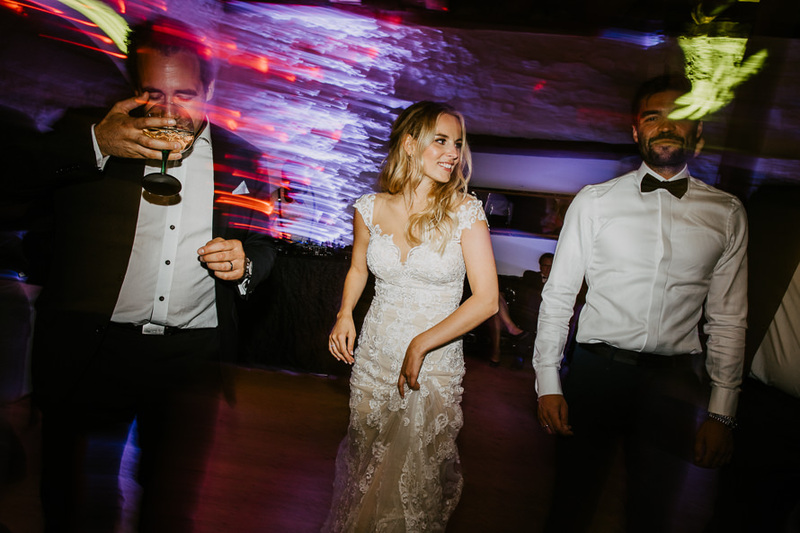 Victoria was glowing in her amazing gown from White Silhouette. 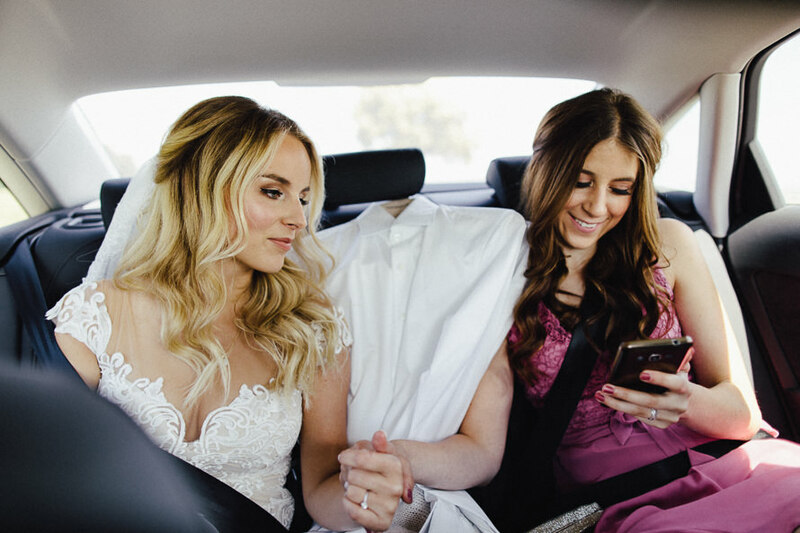 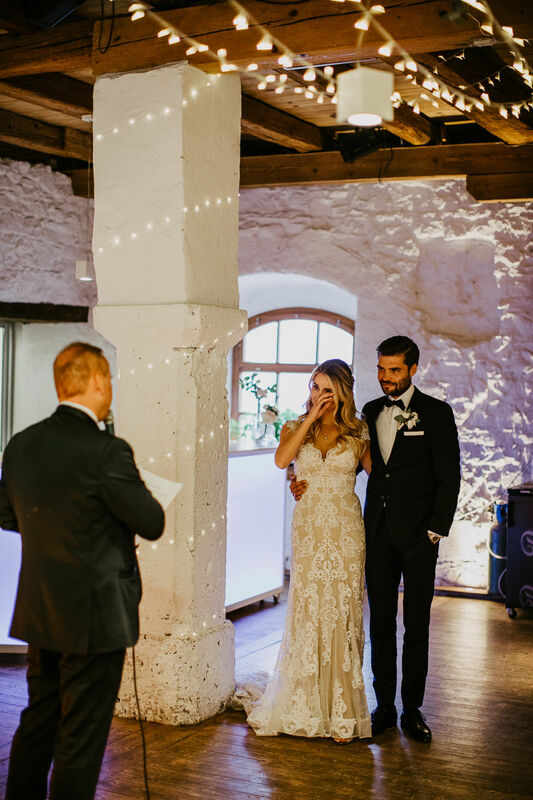 During the ceremony and actually all day long, Victoria and Falk were very relaxed, laid back and full of the sweetest genuine emotions. 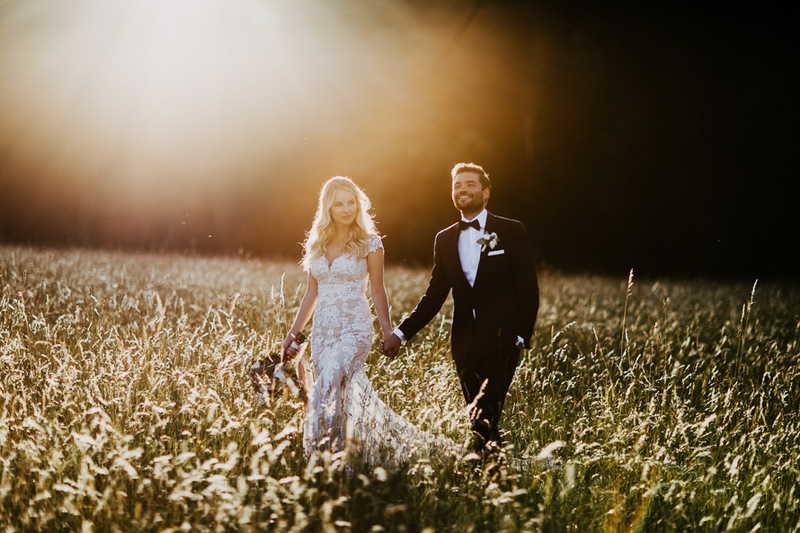 The happy couple escaped at dessert time to make space for a shooting at dawn – and it was totally worth it! 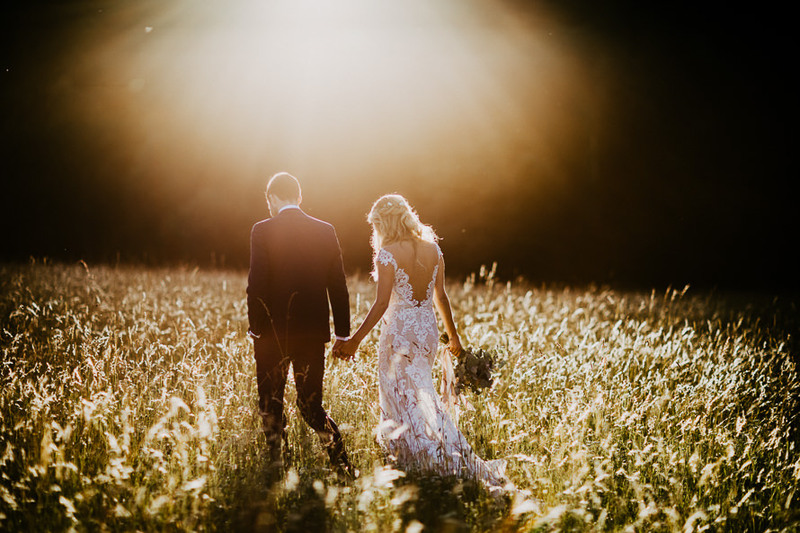 The light was incredible, just take a look at the beautiful image! 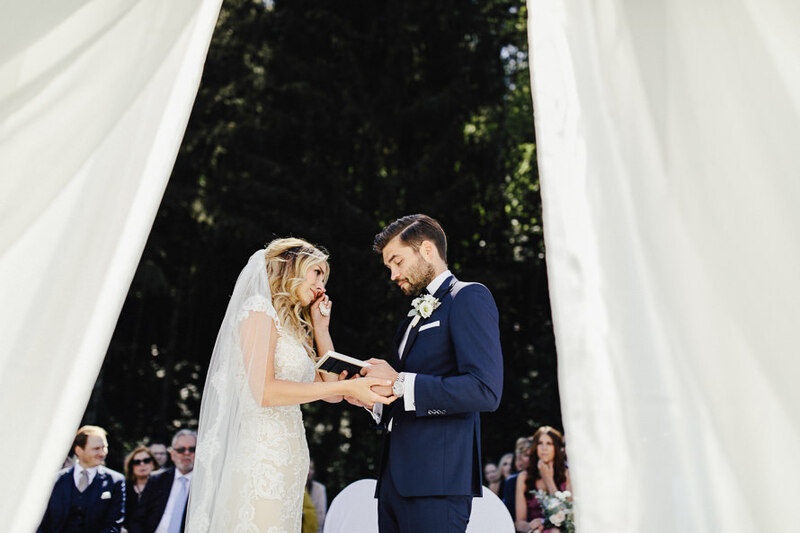 It was a delight for us to be a part of their dream wedding. 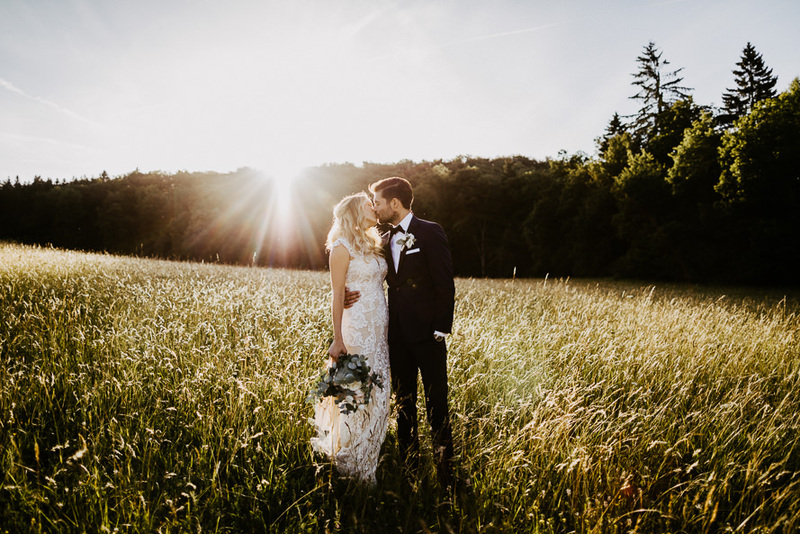 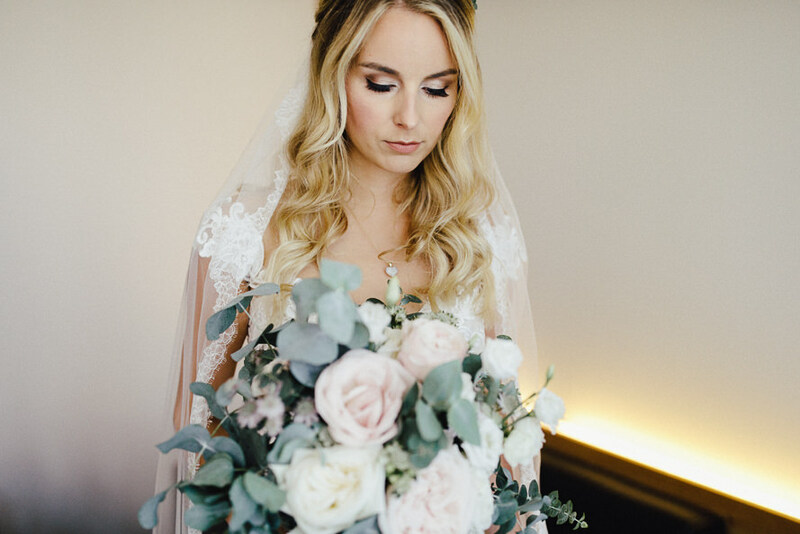 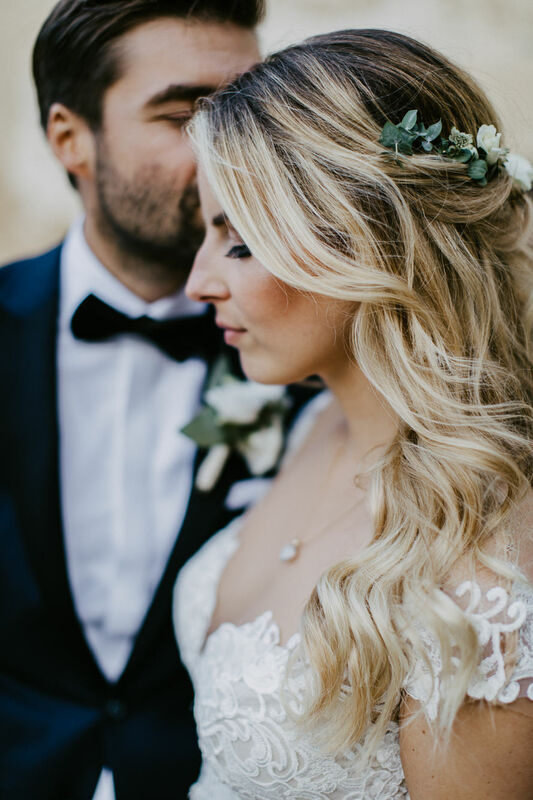 We are still pretty much in love with the details – the beautiful cake, the bouquet and the location – everything was so thoughtfully put together and in harmony with nature as well as the surroundings. 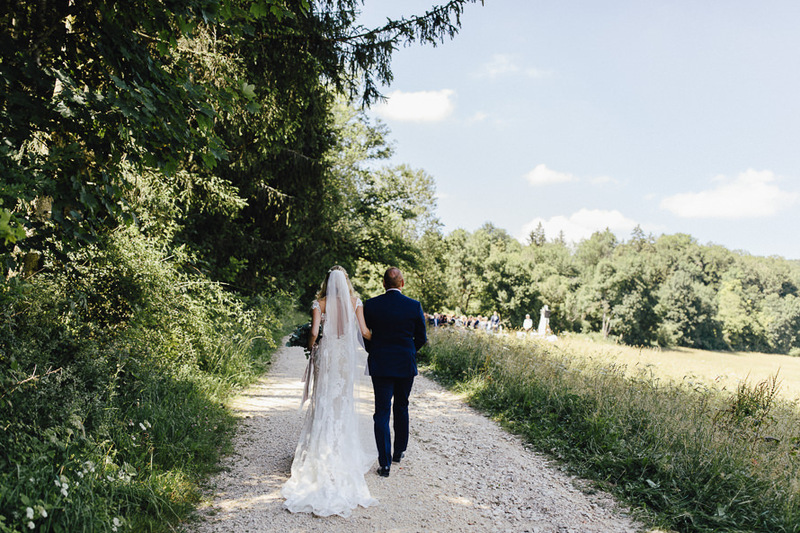 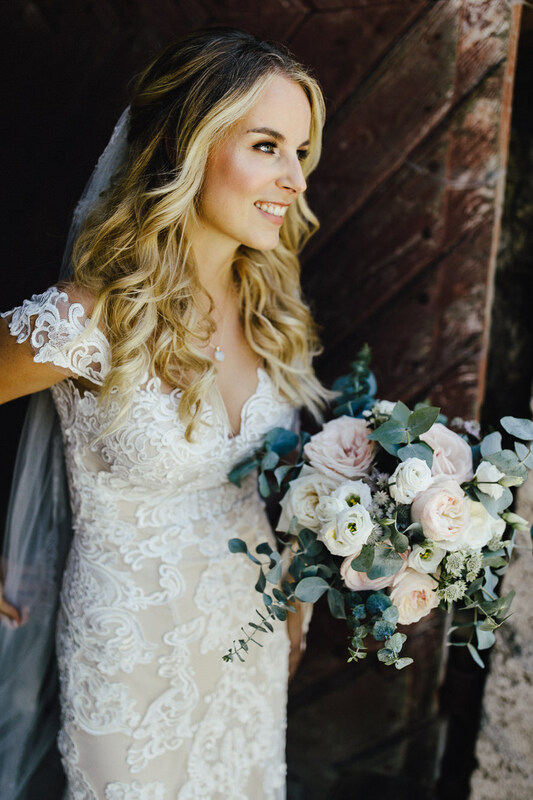 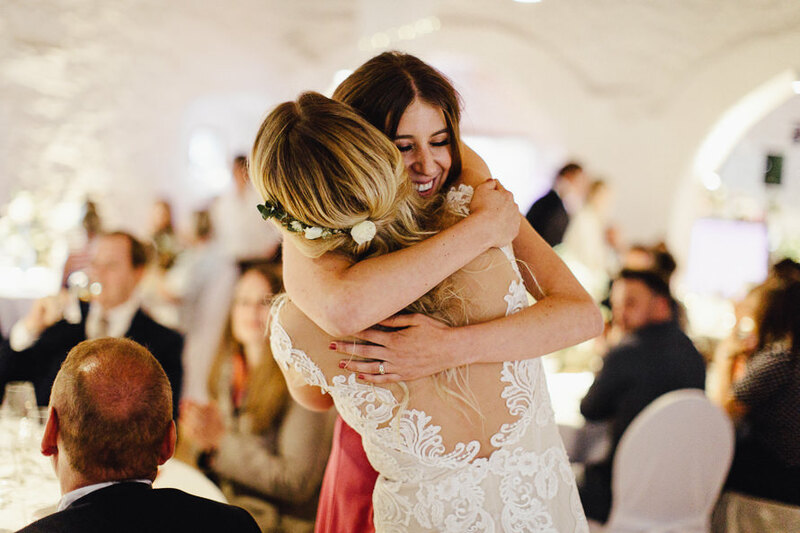 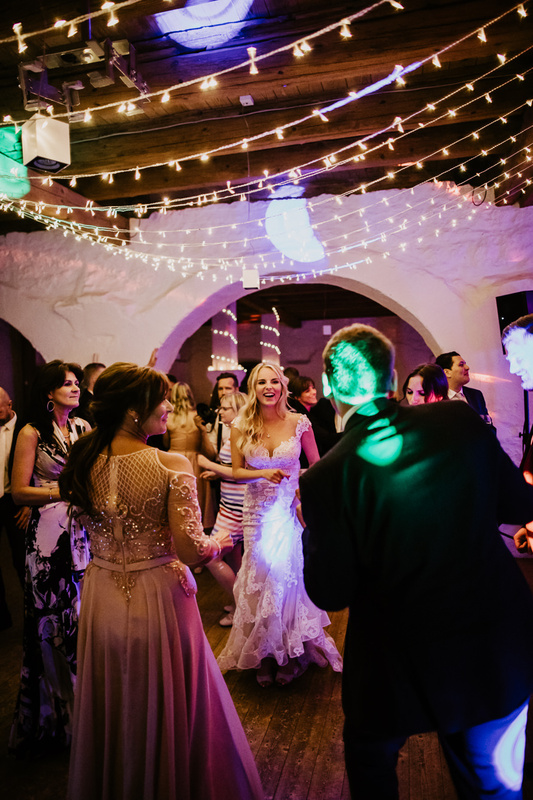 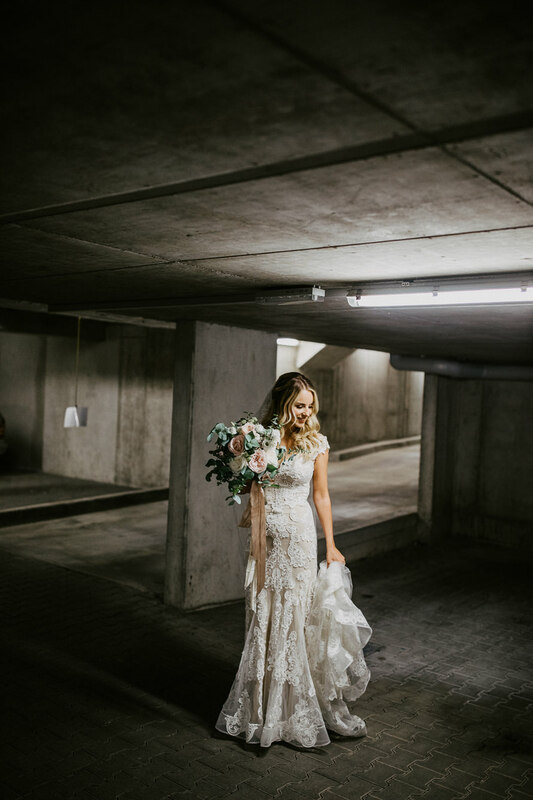 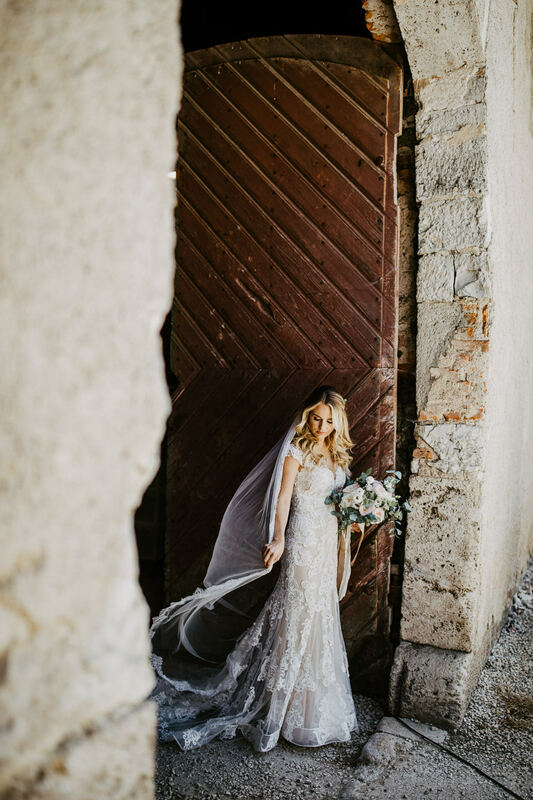 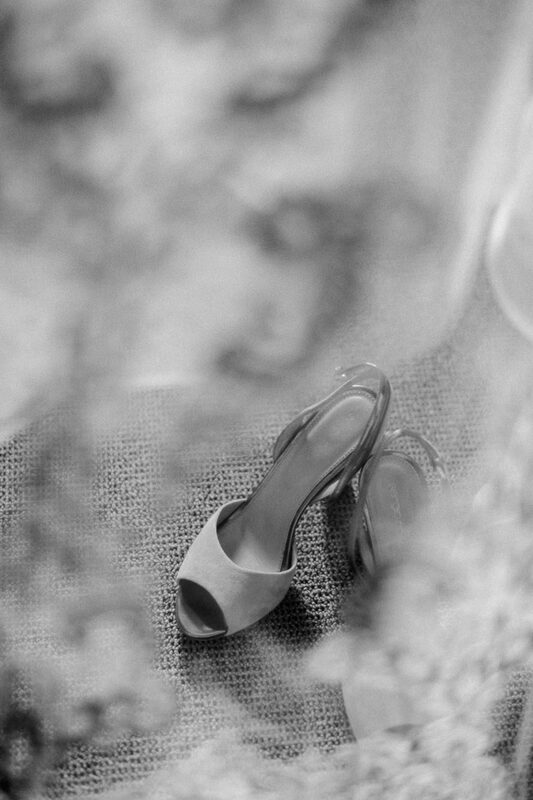 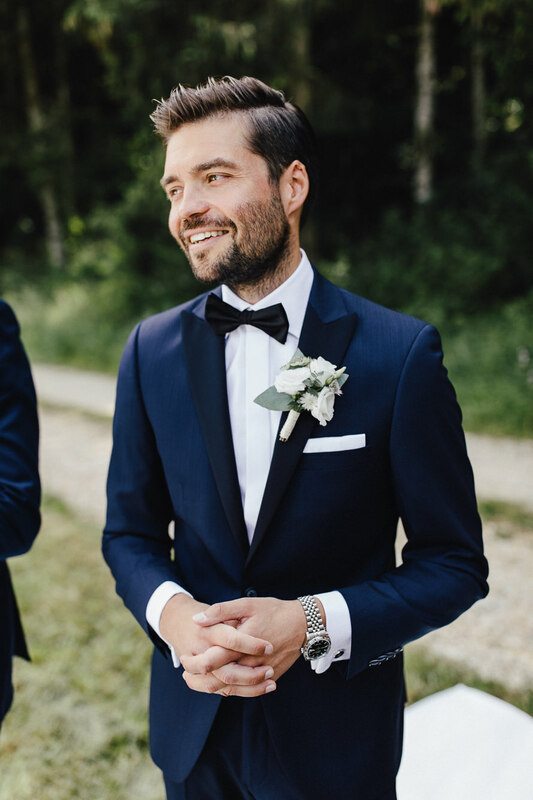 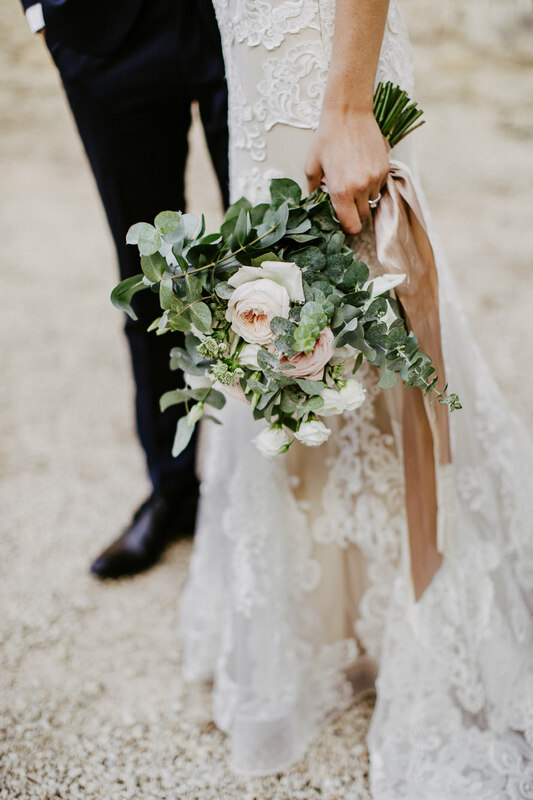 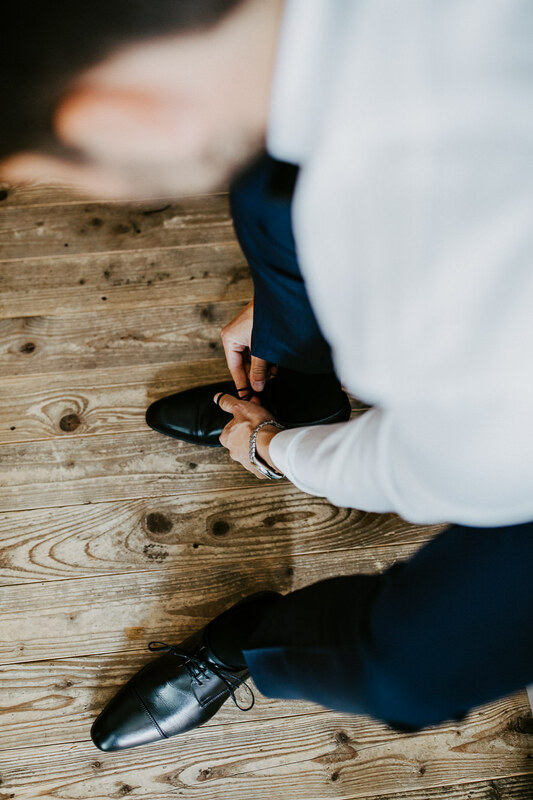 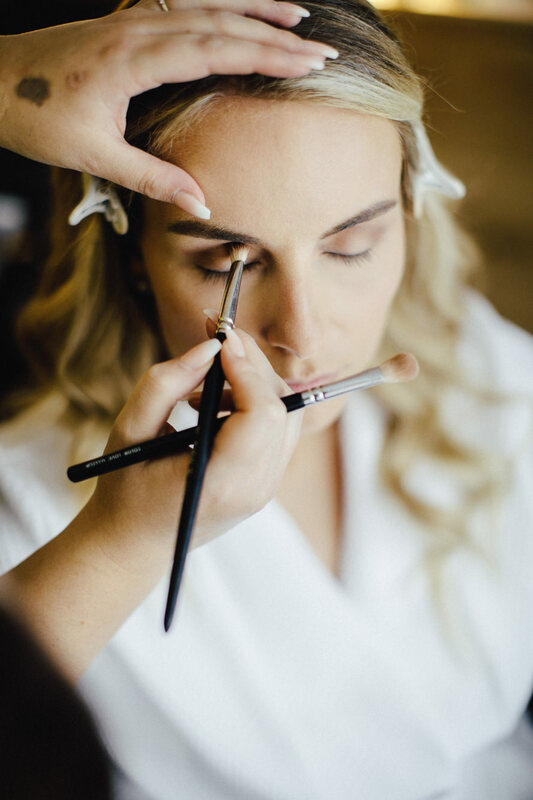 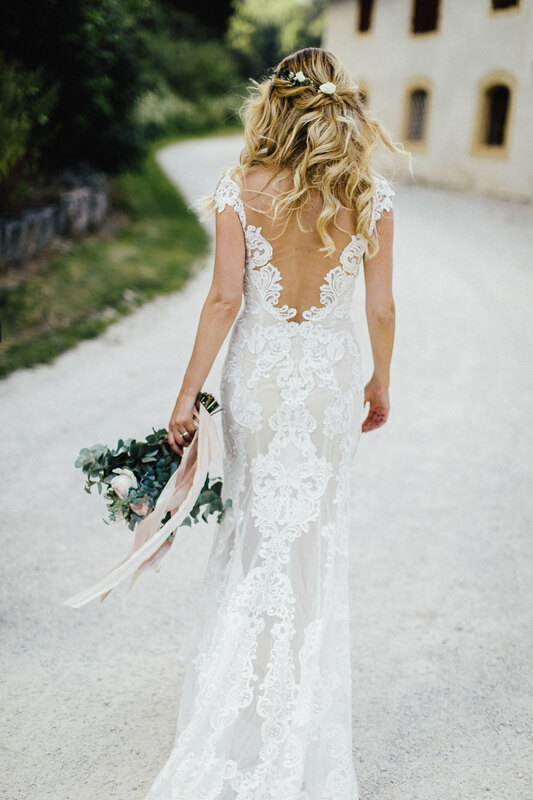 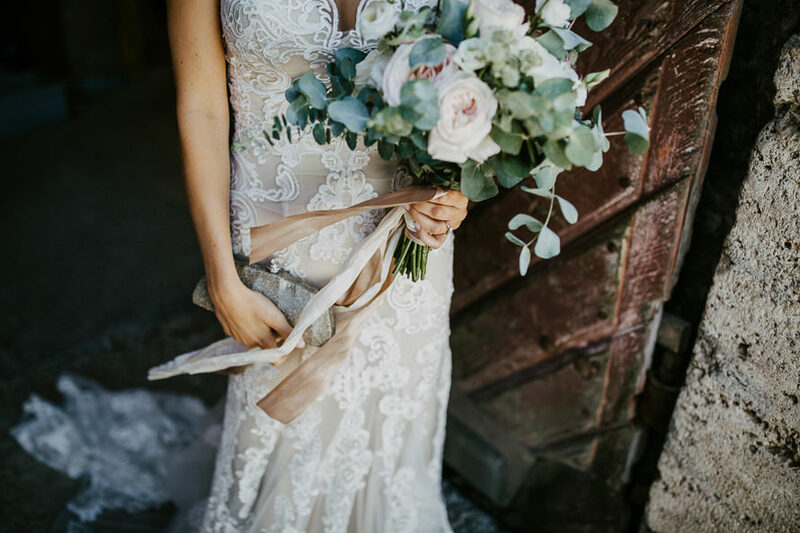 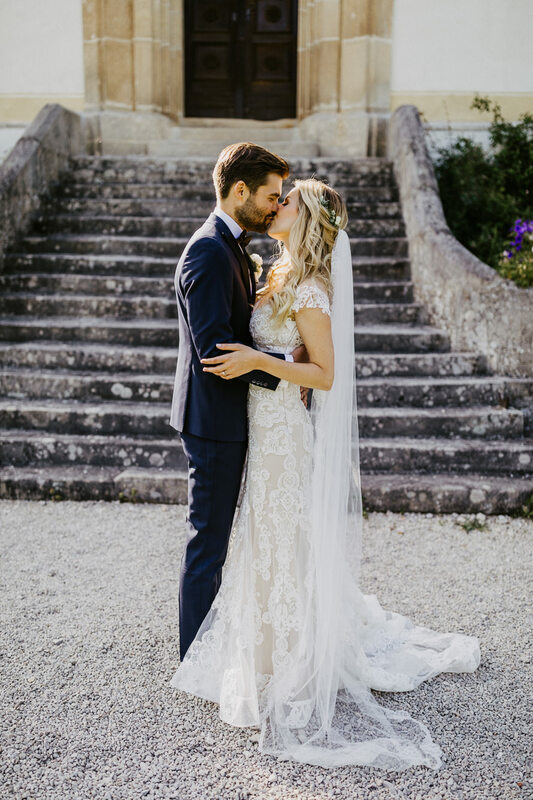 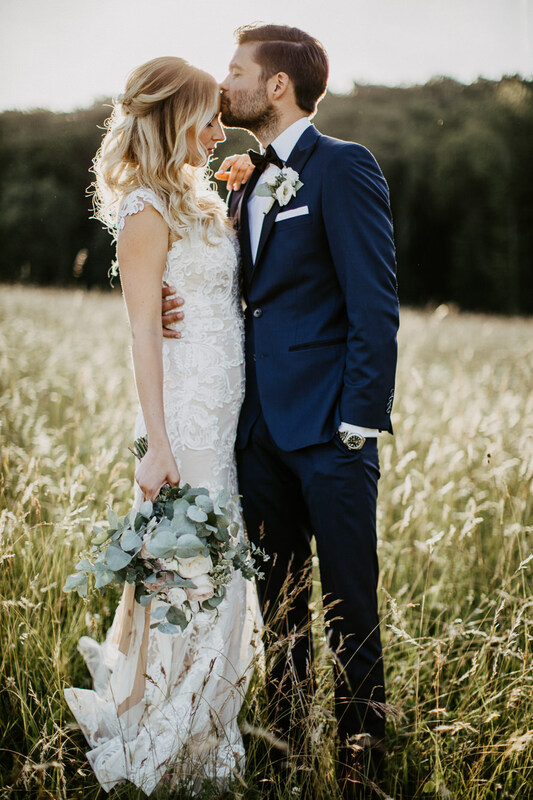 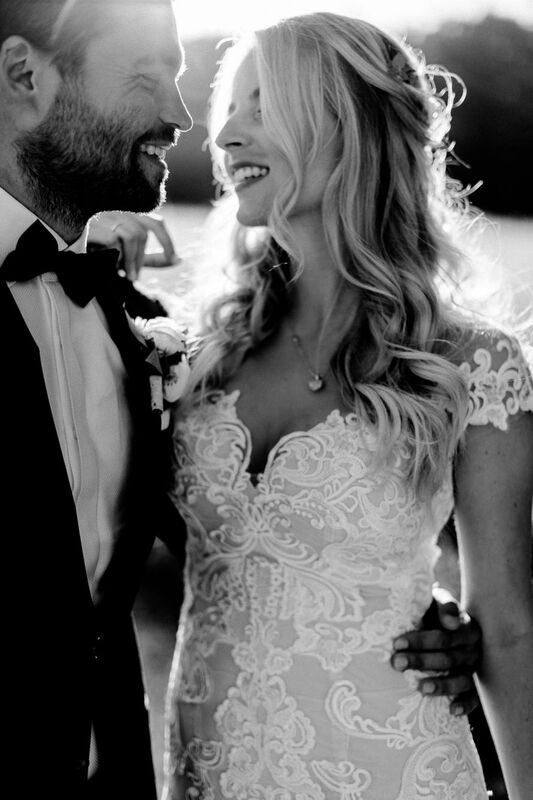 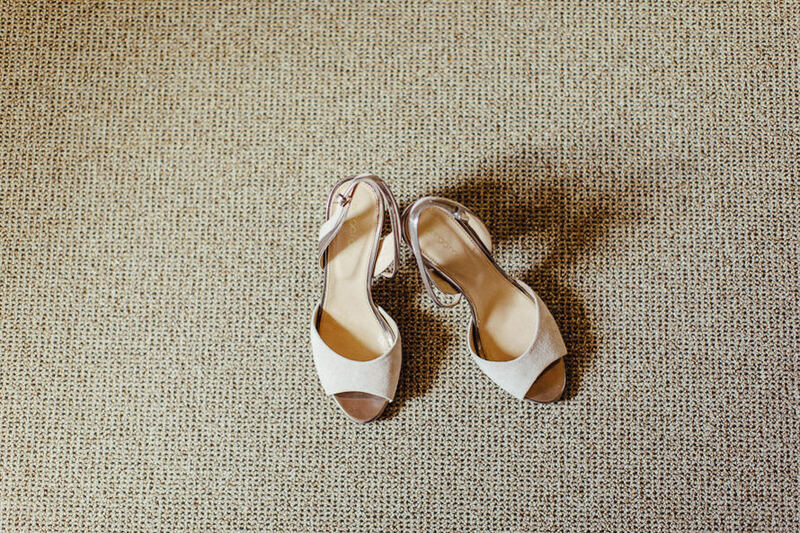 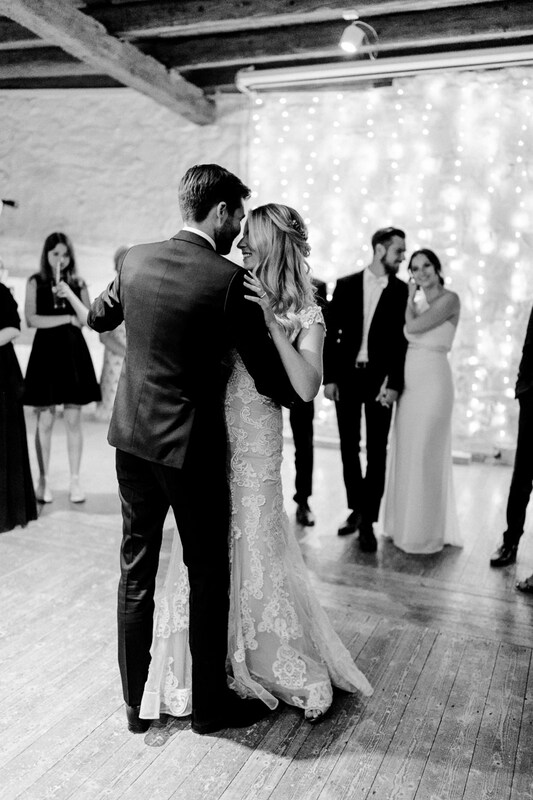 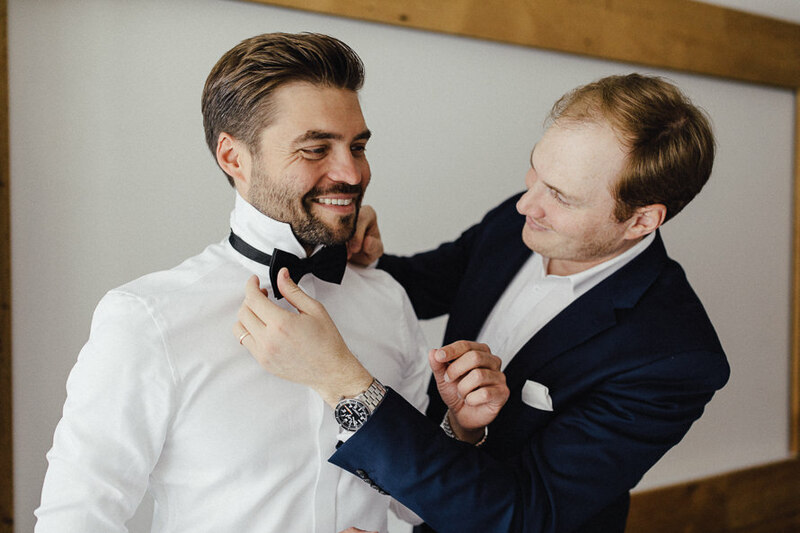 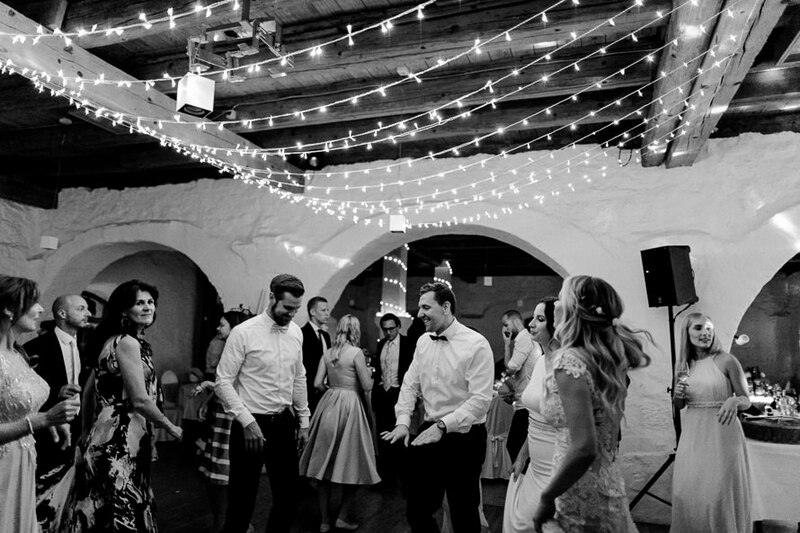 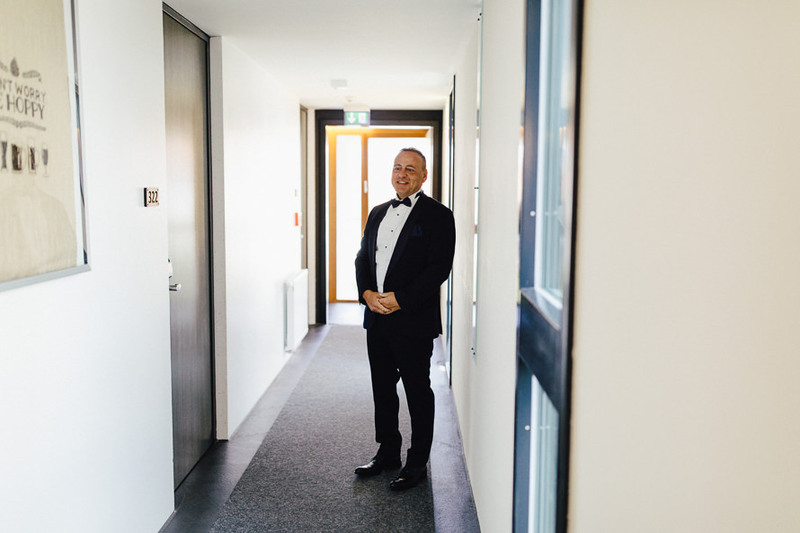 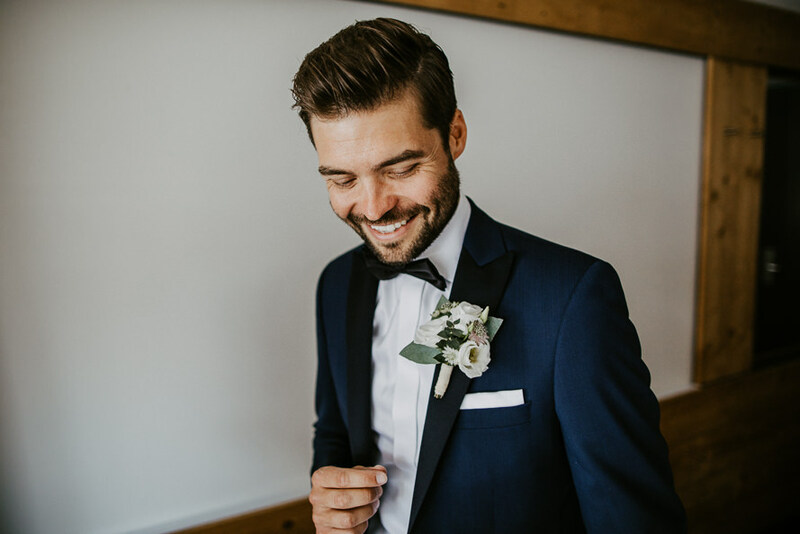 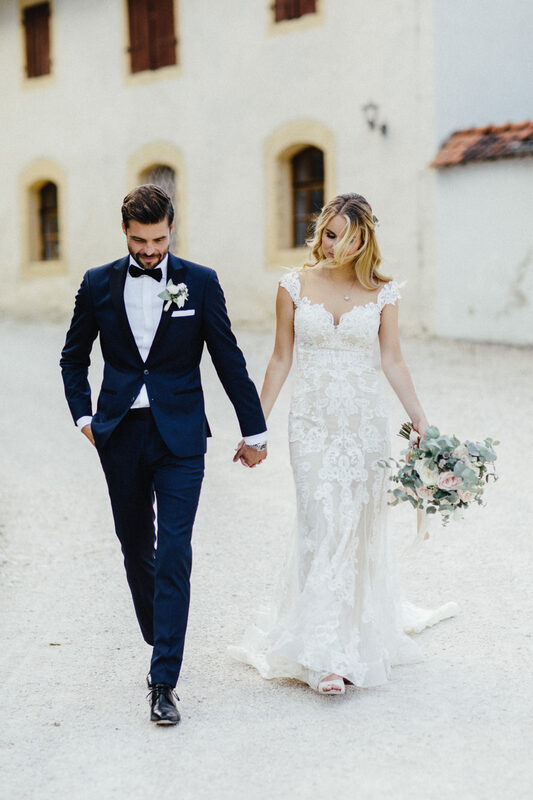 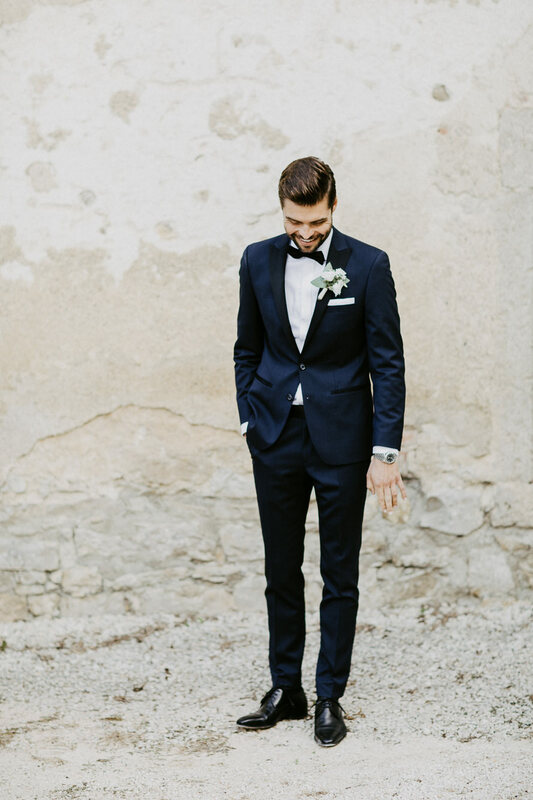 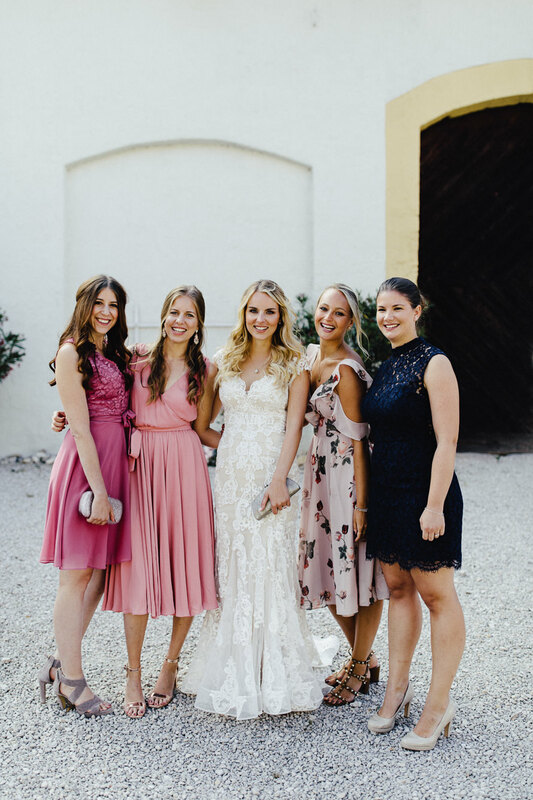 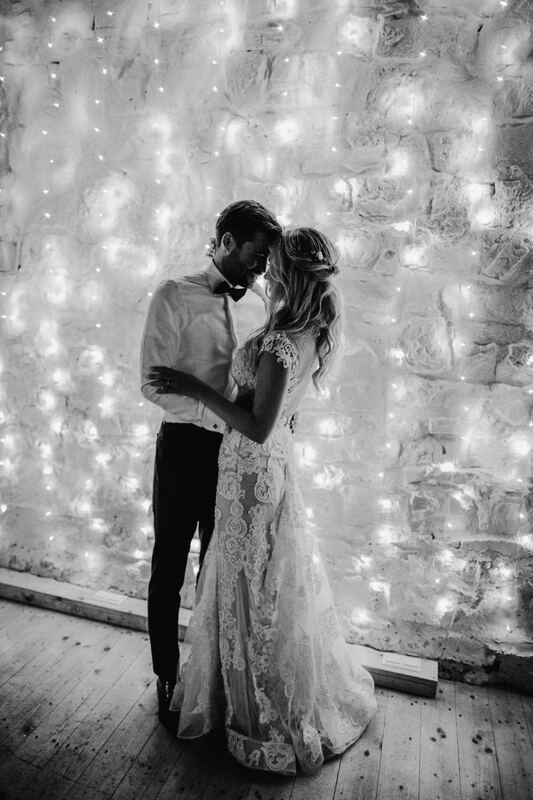 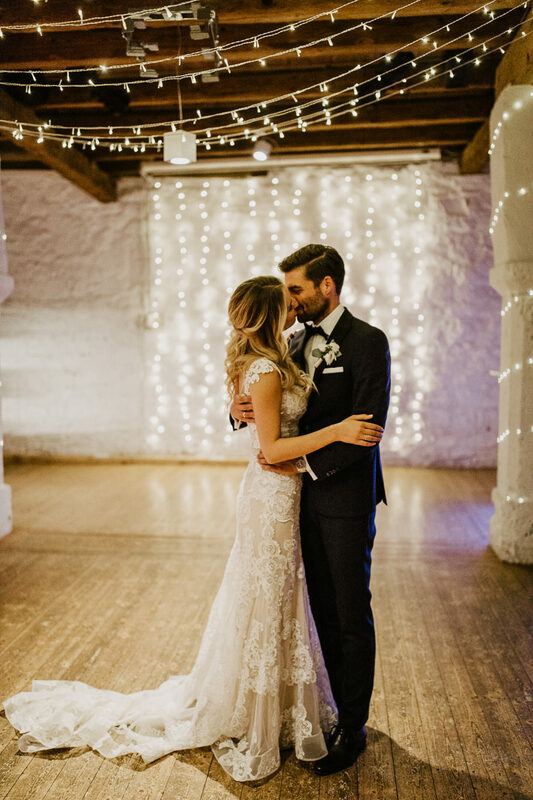 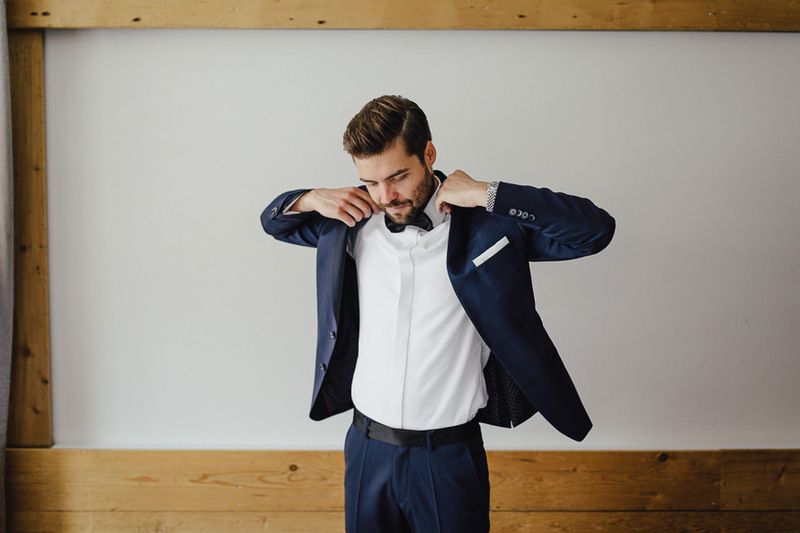 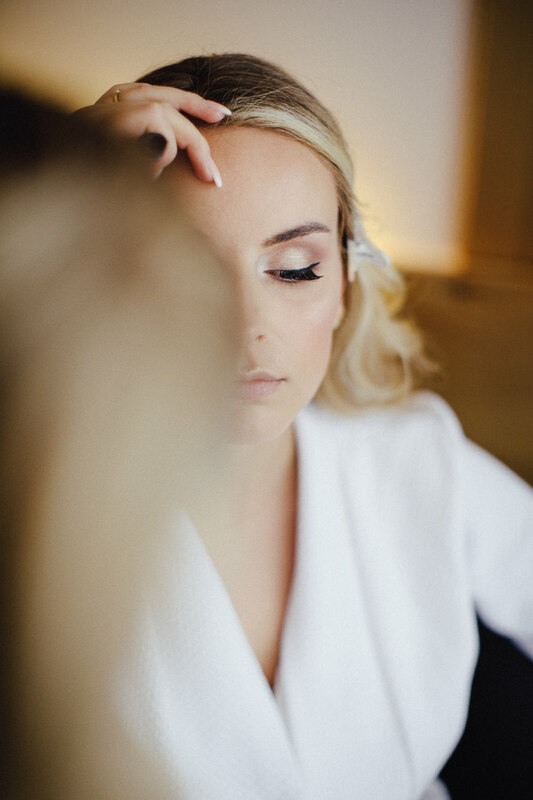 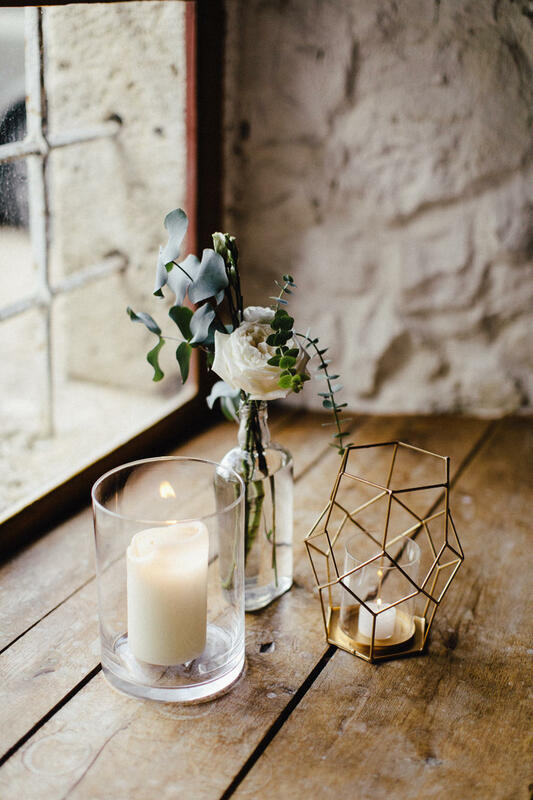 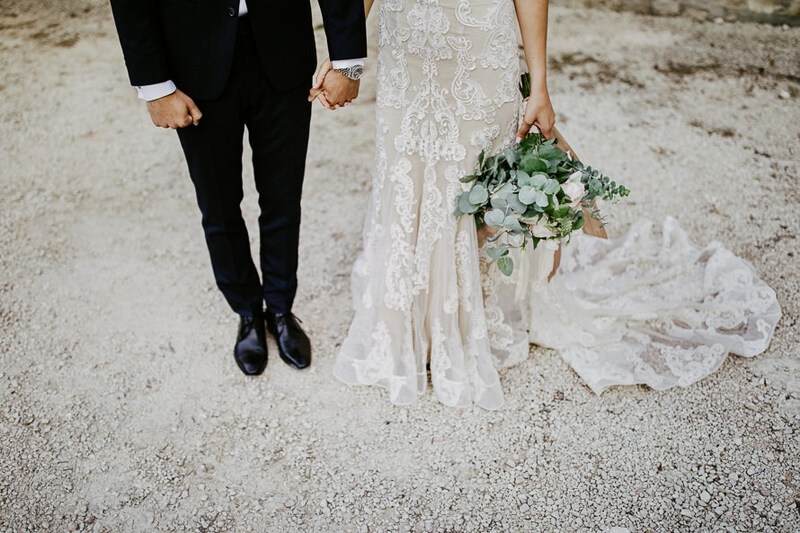 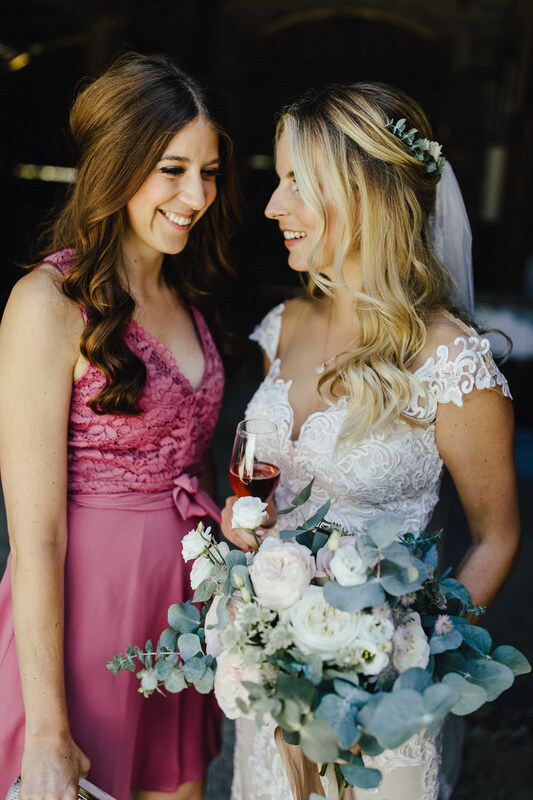 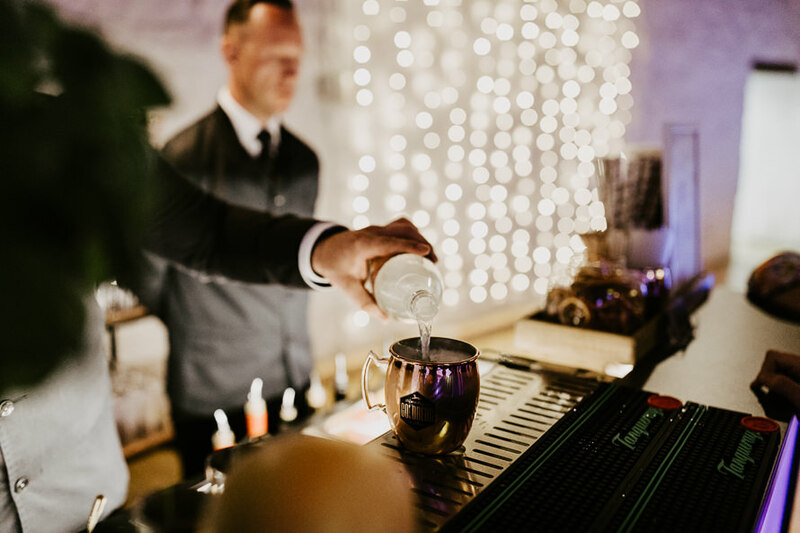 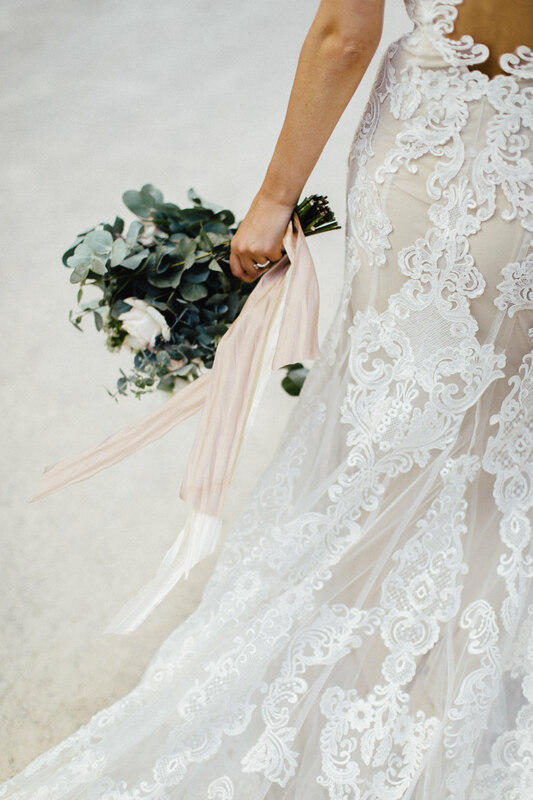 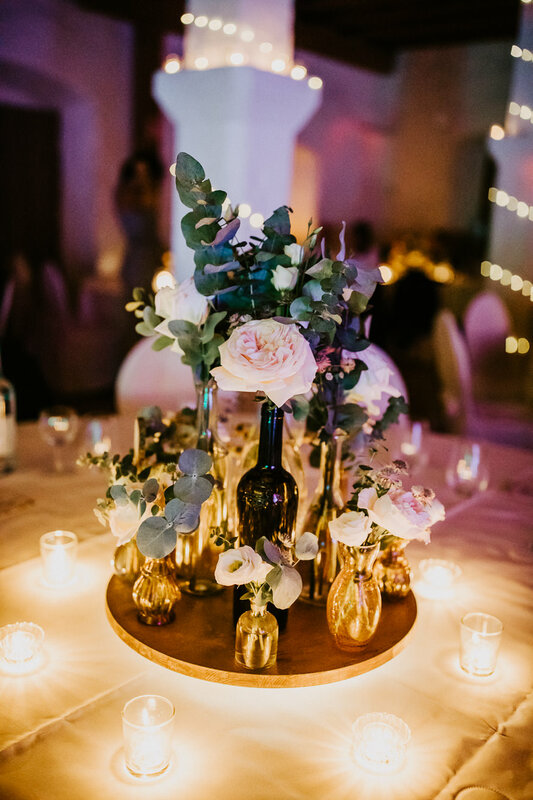 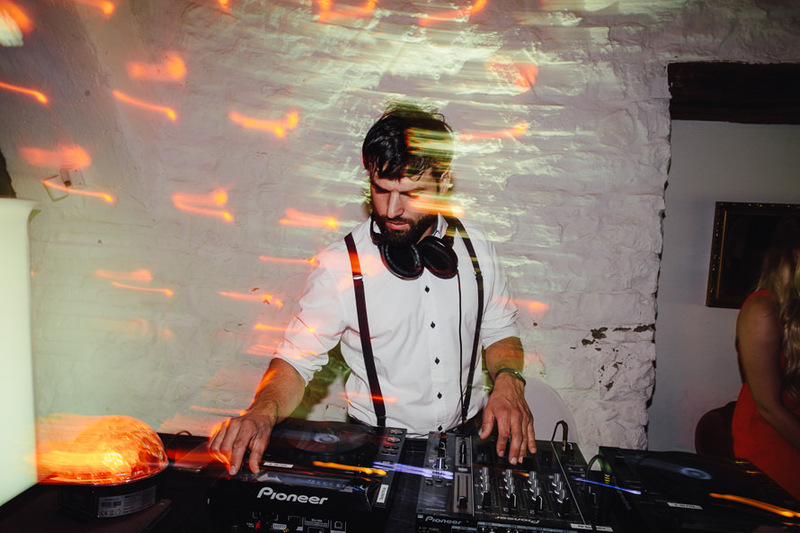 At this point we have to mention the talented Jacqueline of Ja von Herzen, weddingplanner with heart and style, who did more than just a great job! 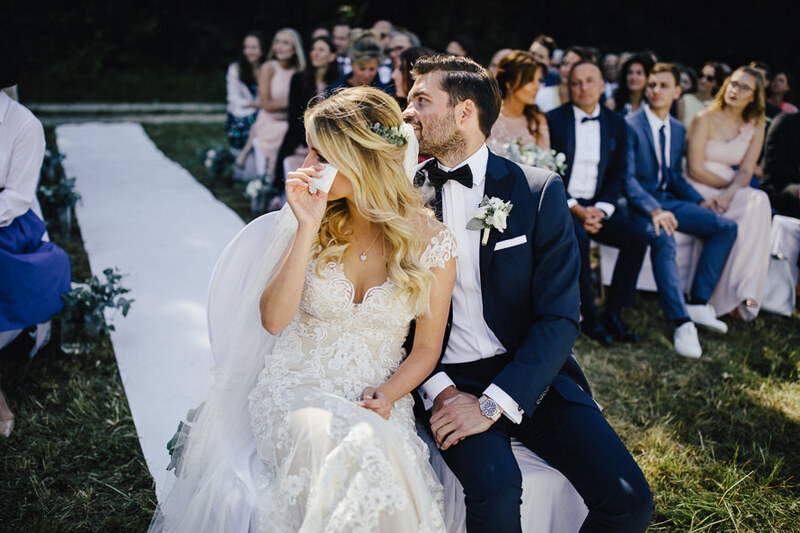 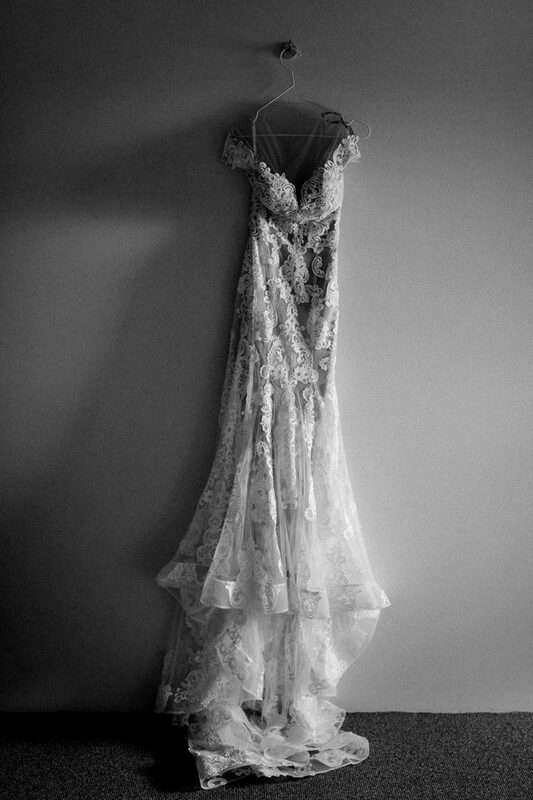 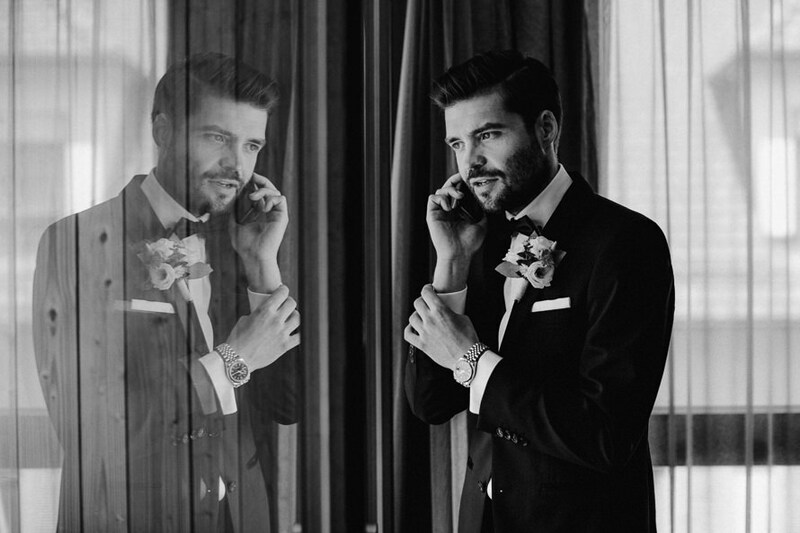 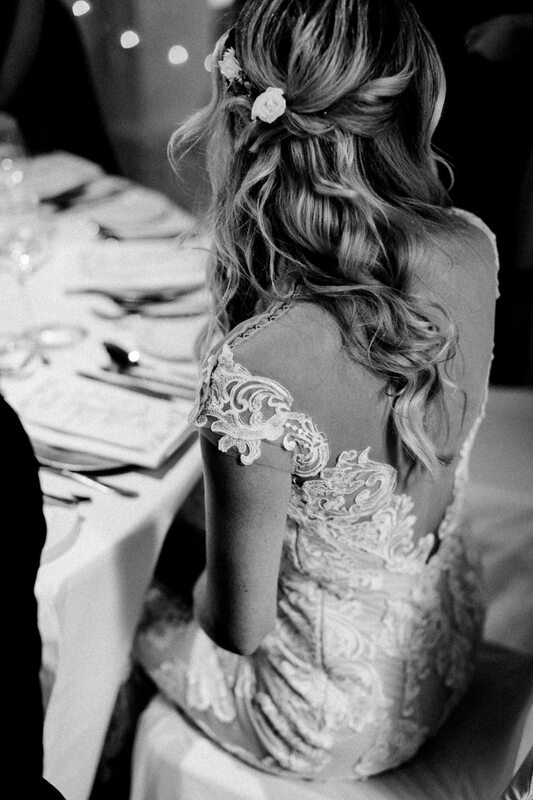 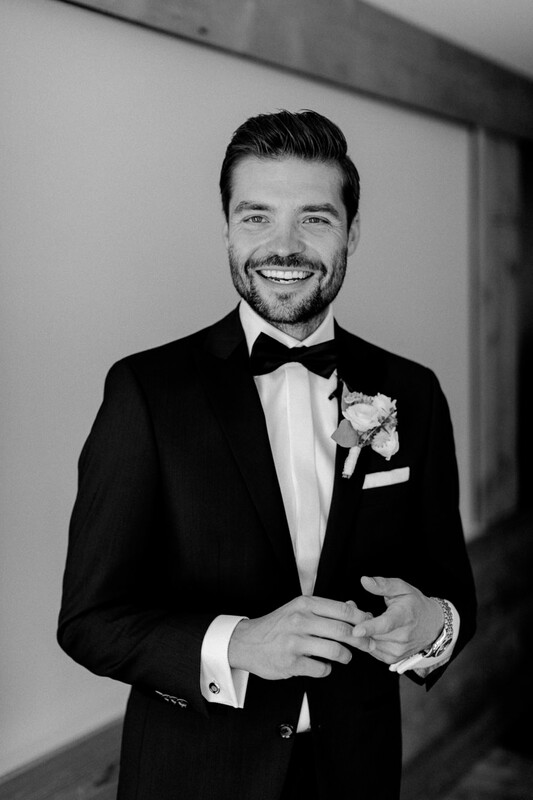 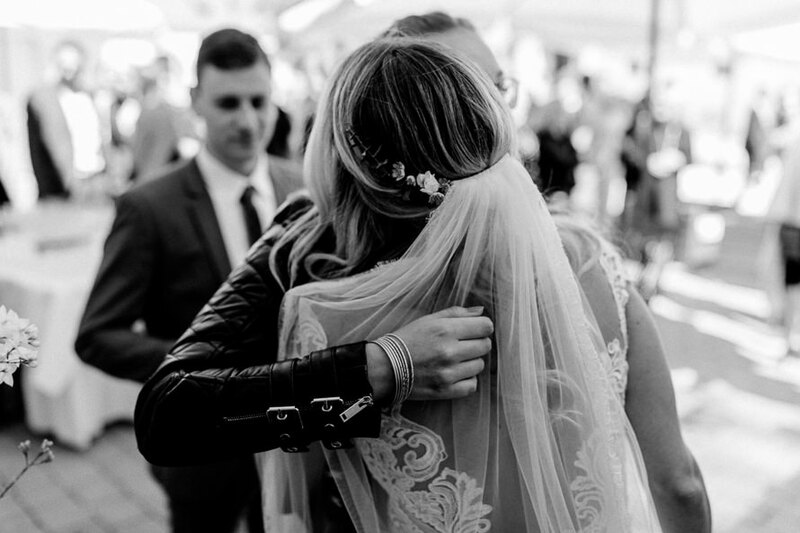 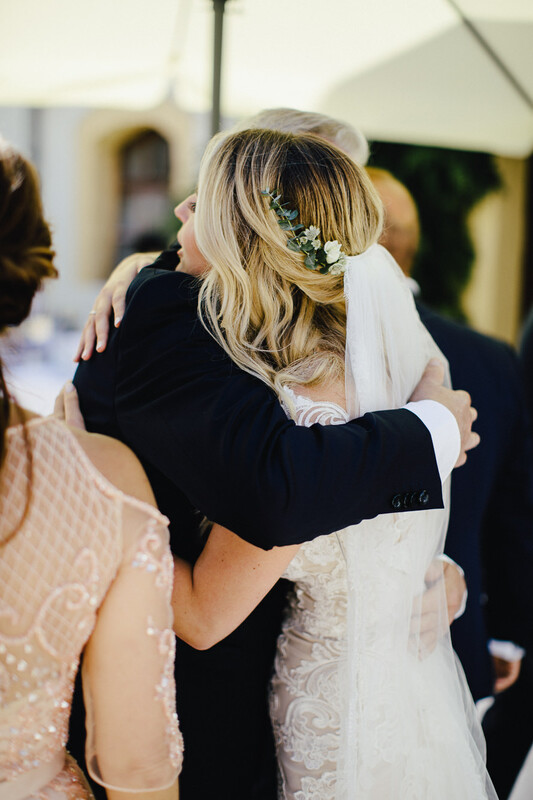 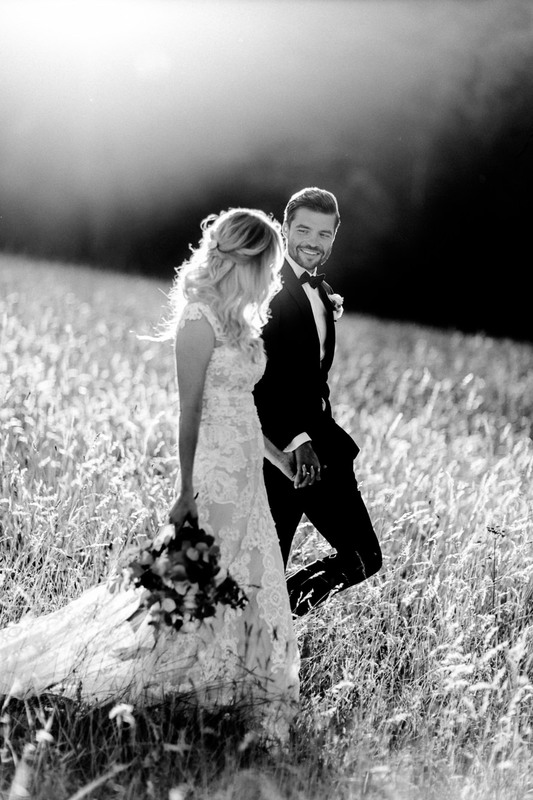 Love how you guys captured this wedding.